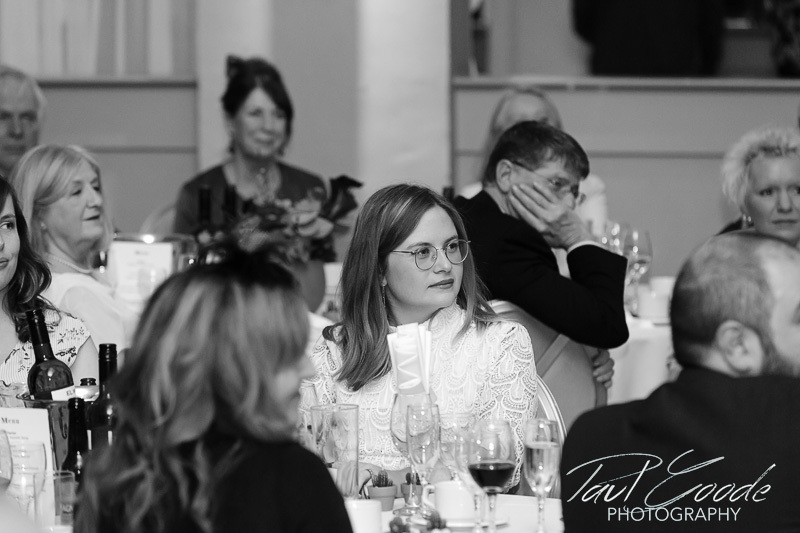 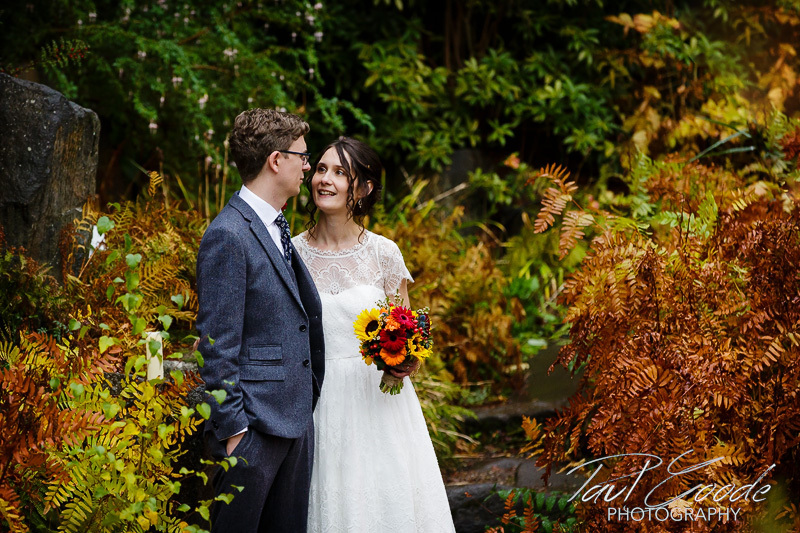 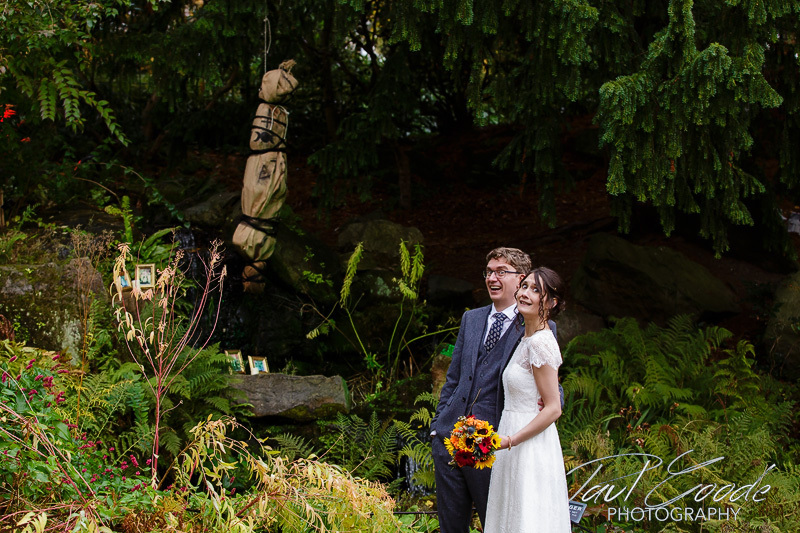 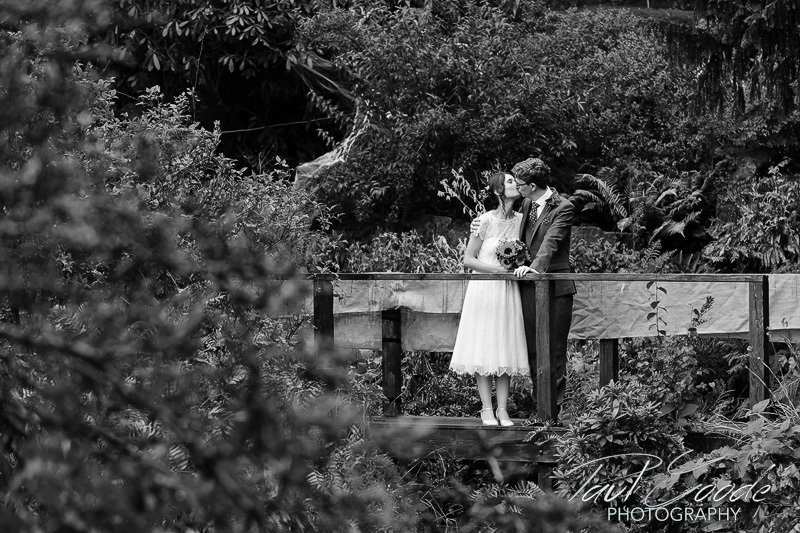 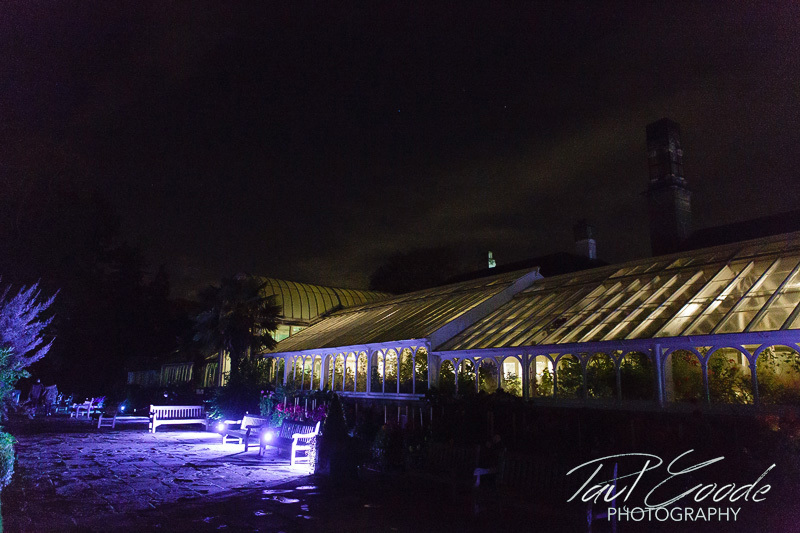 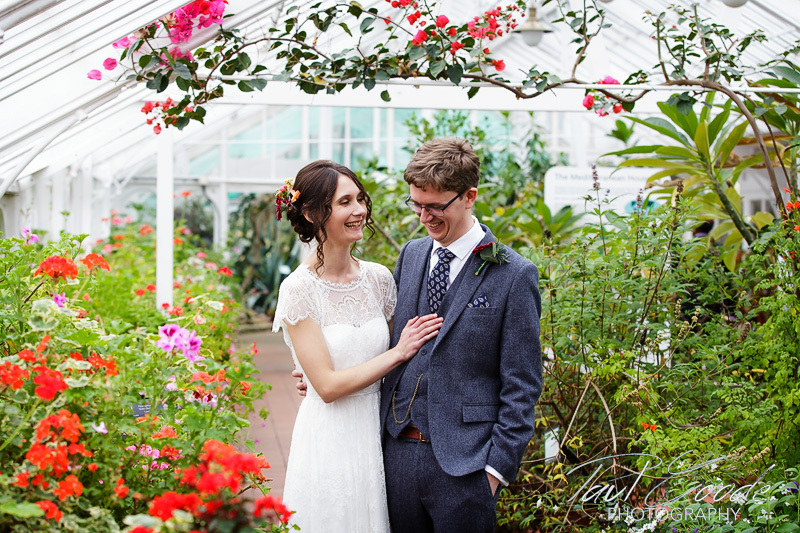 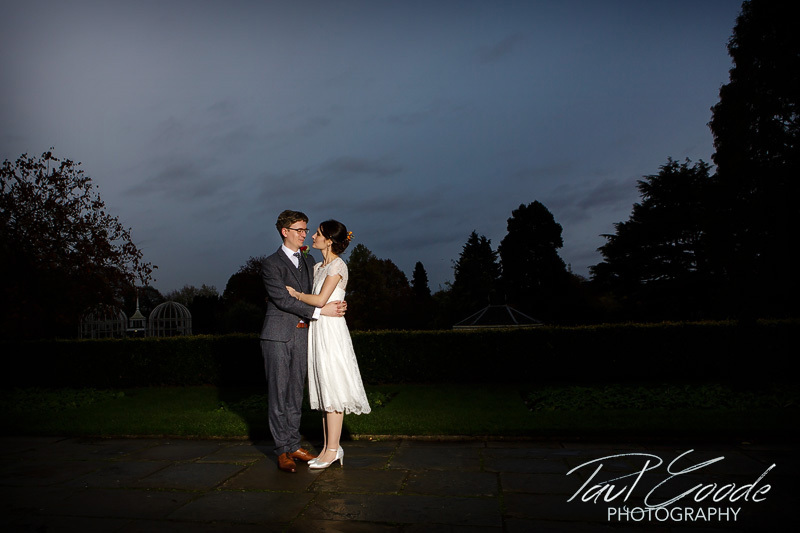 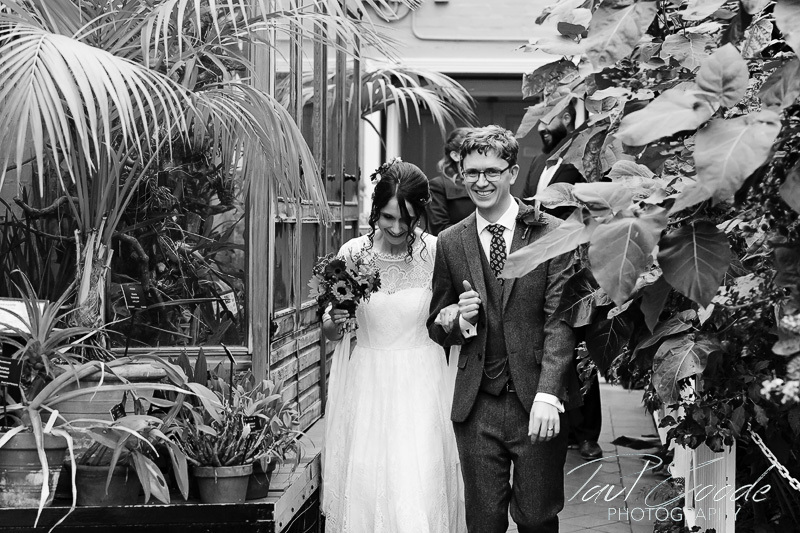 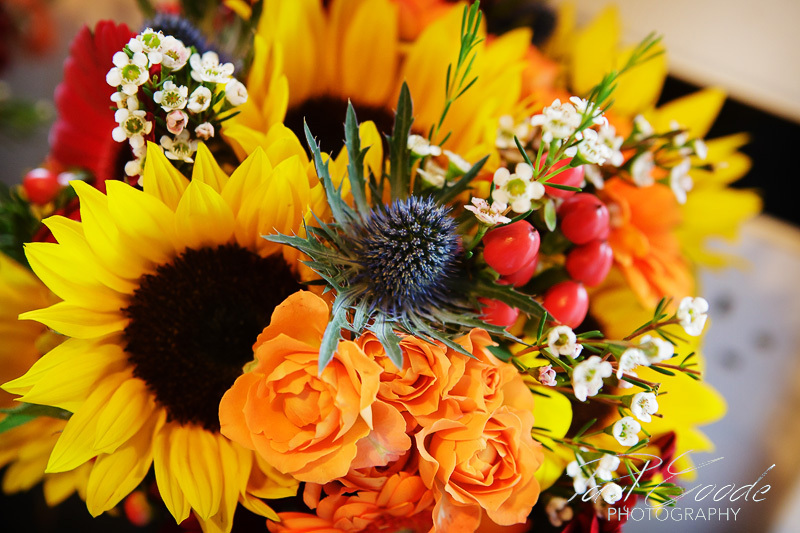 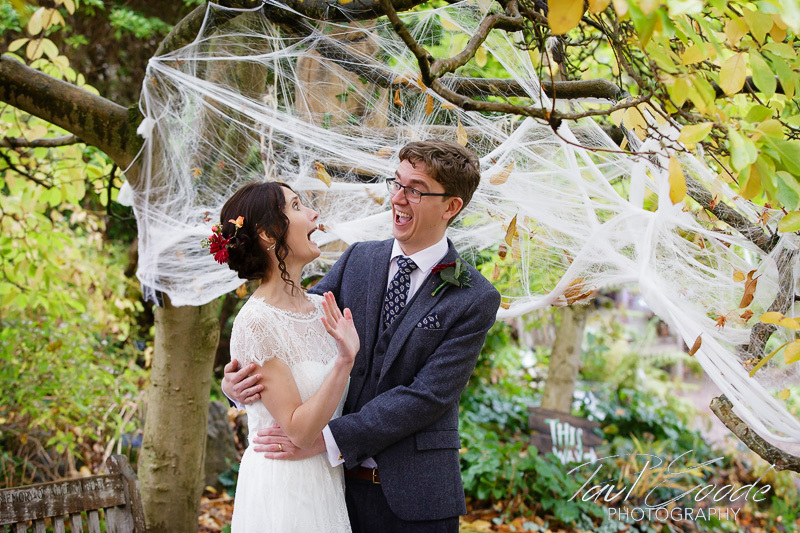 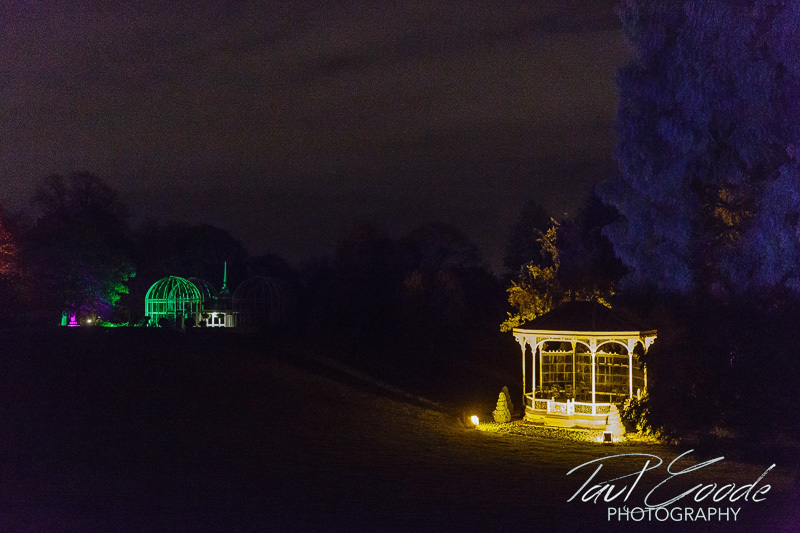 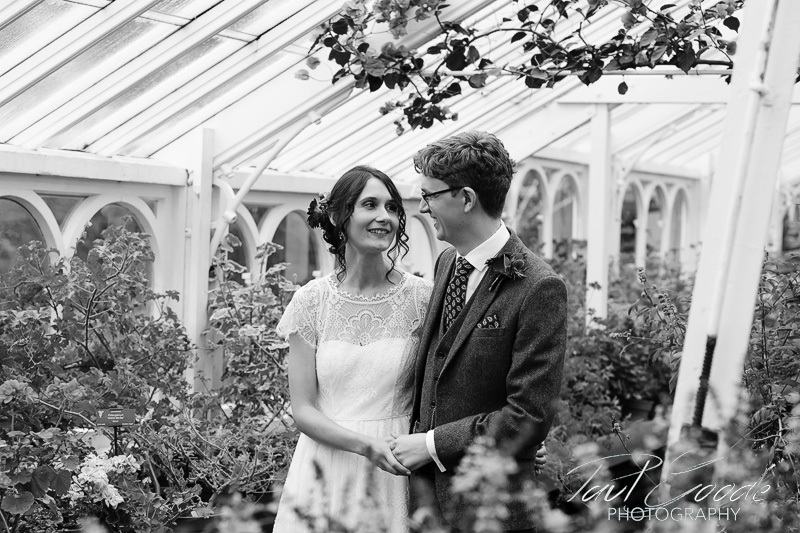 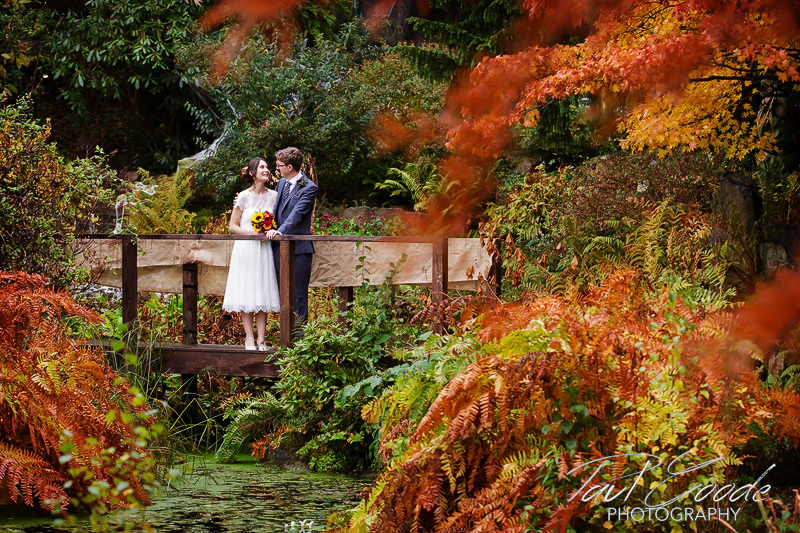 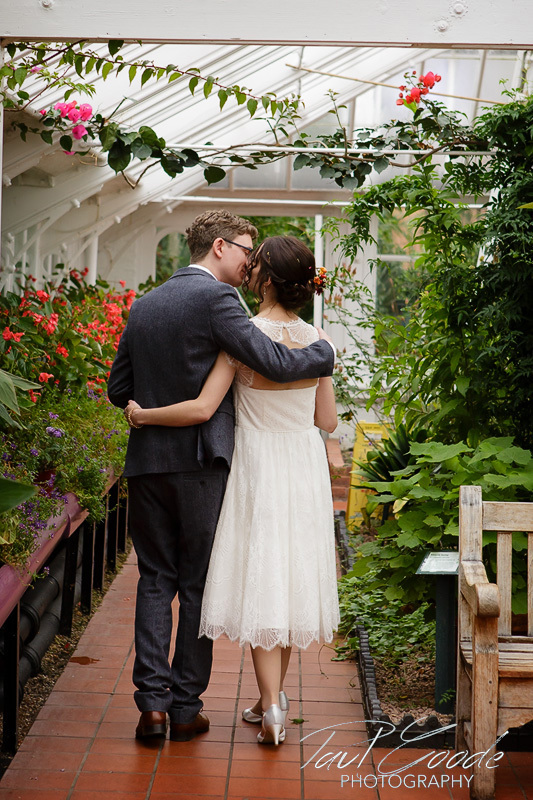 Laura and Tom’s big day was close to home as I set off to be their wedding photographer at the Birmingham Botanical Gardens. 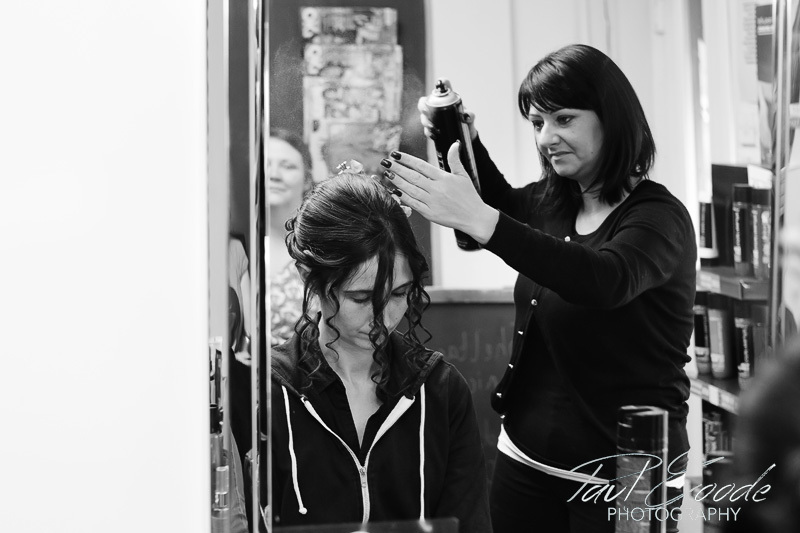 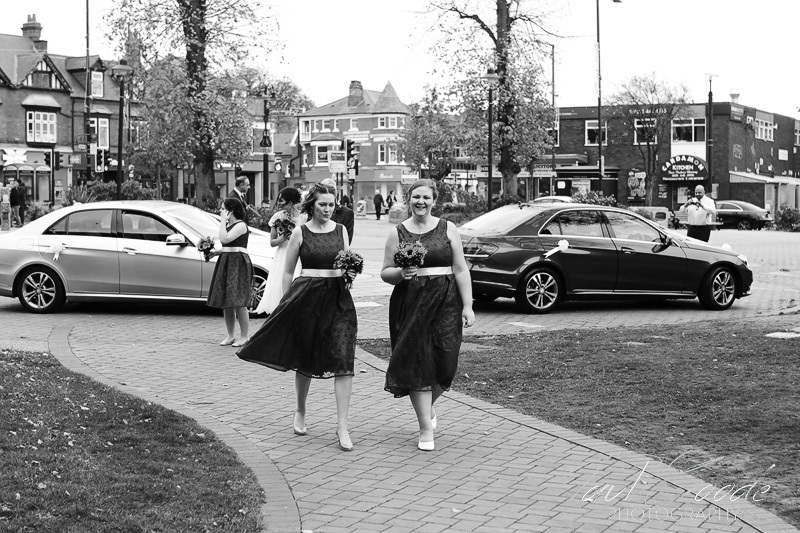 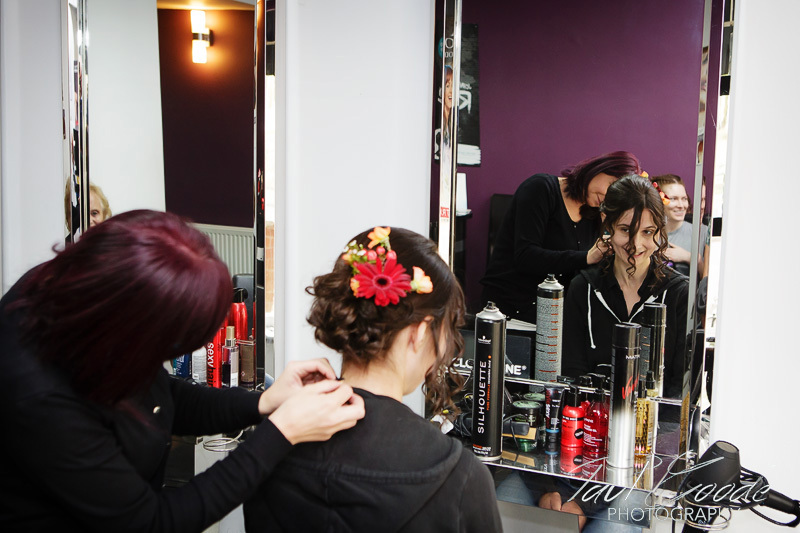 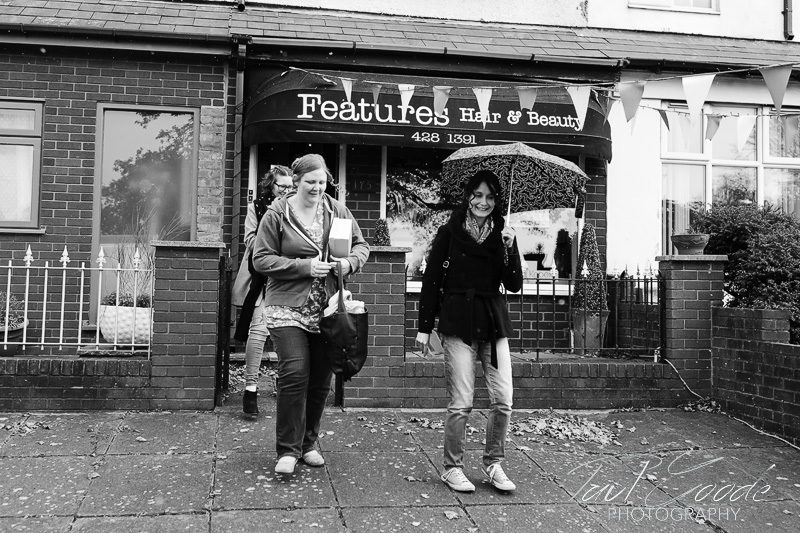 I firstly met up with Laura and her bridesmaids as they were just leaving Features Hairdressers in Harborne. 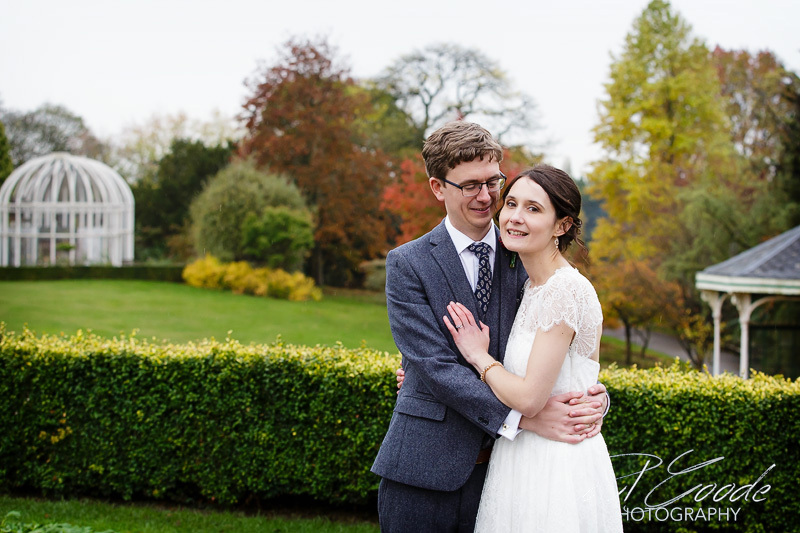 It was quite a surprise seeing the snow came down, just as we made our way back round the corner to Laura and Tom’s home!! 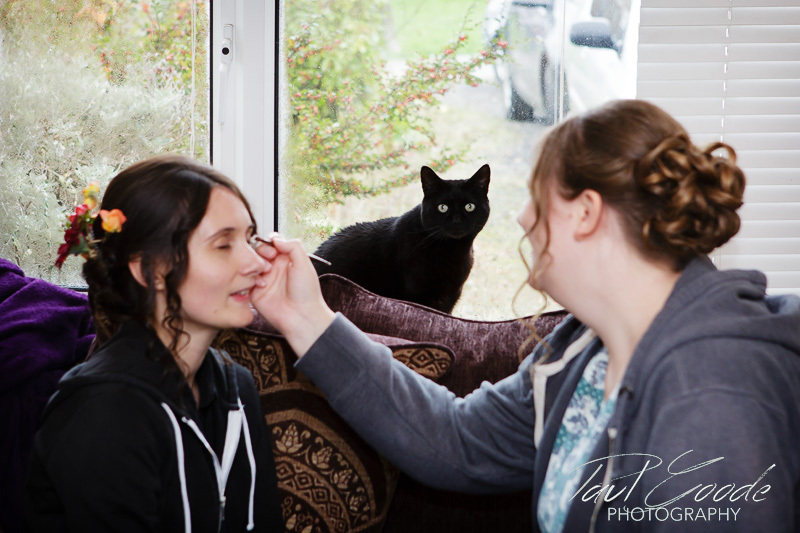 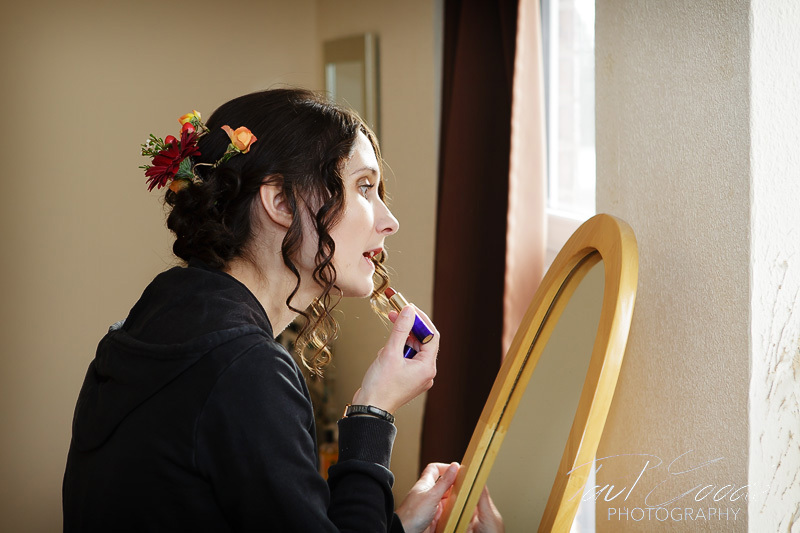 Once safely indoors, Laura and Tom’s cat kept an eye on everyone as final bridal preparation got underway! 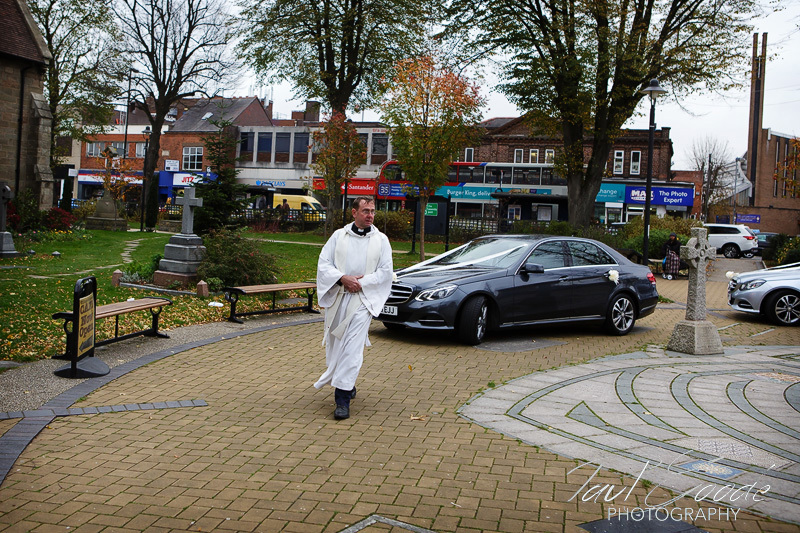 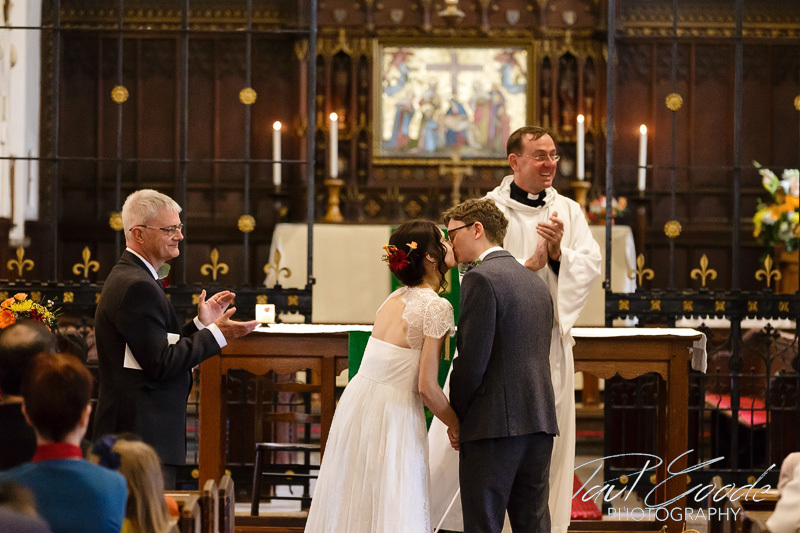 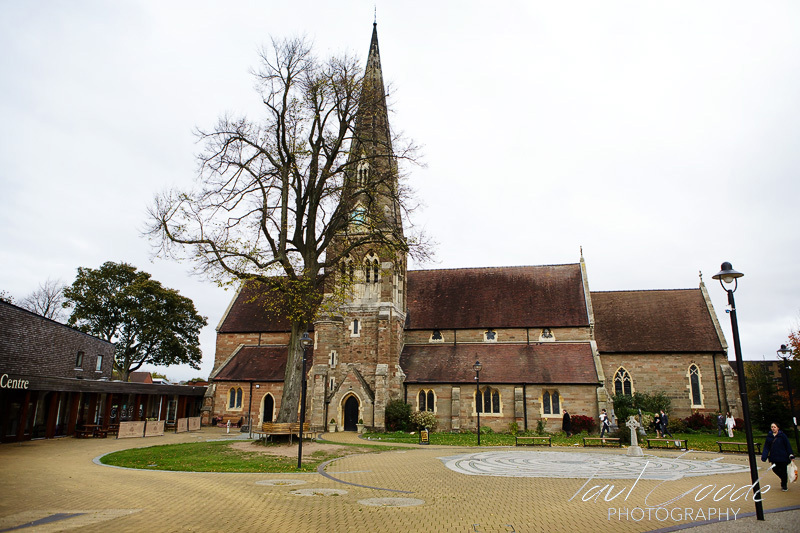 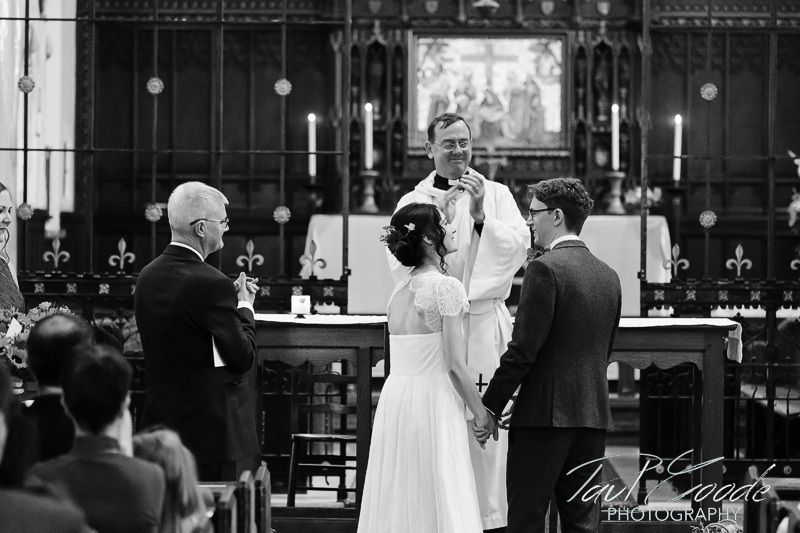 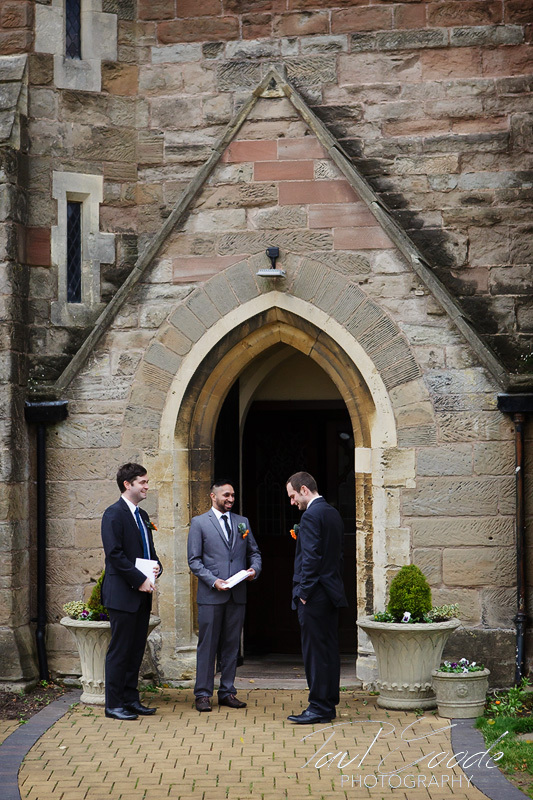 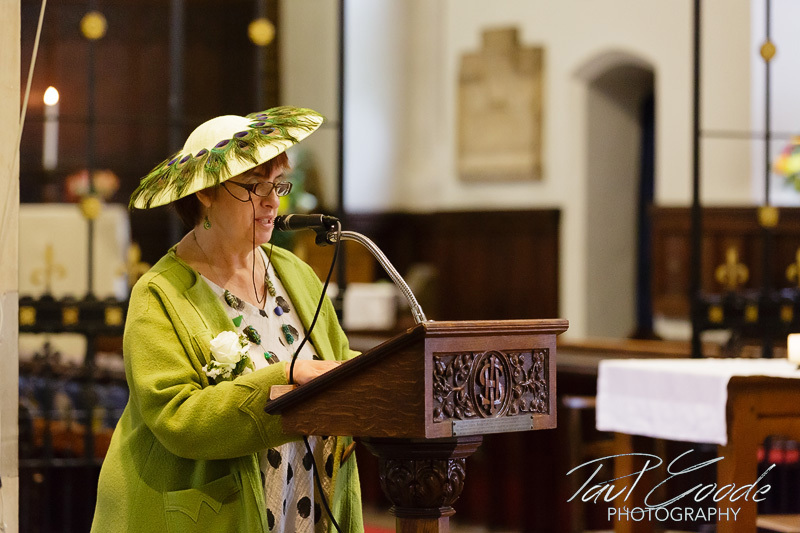 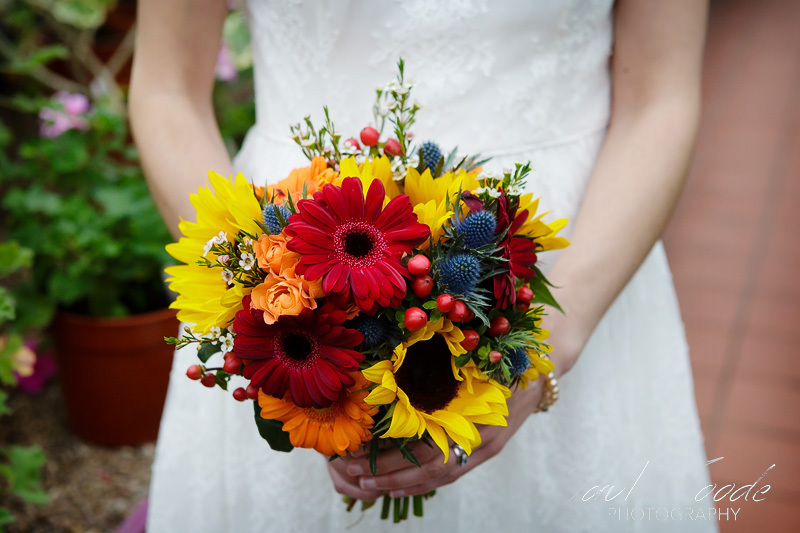 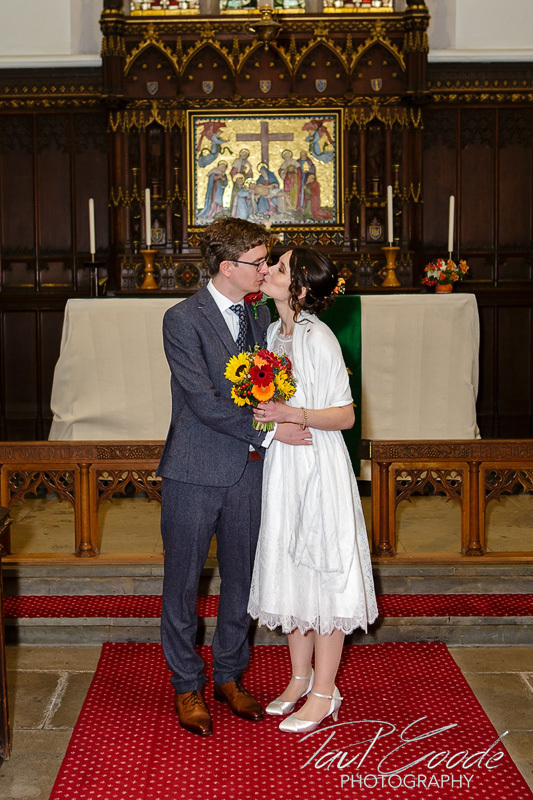 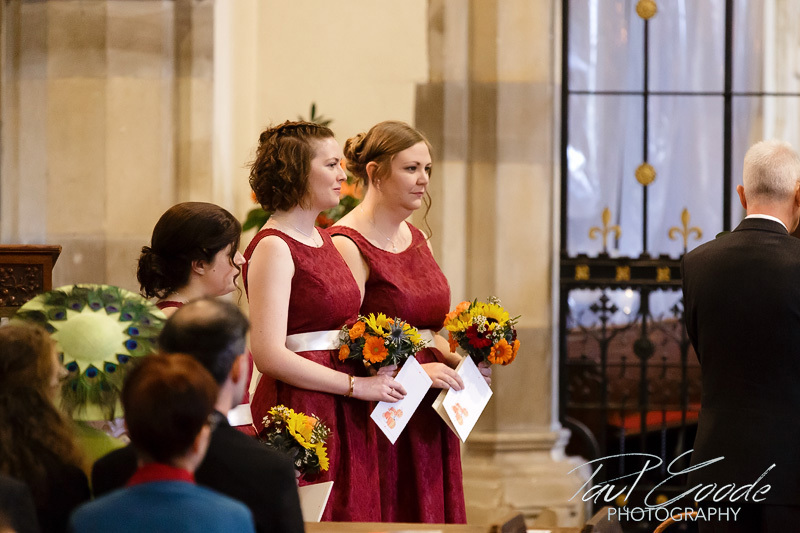 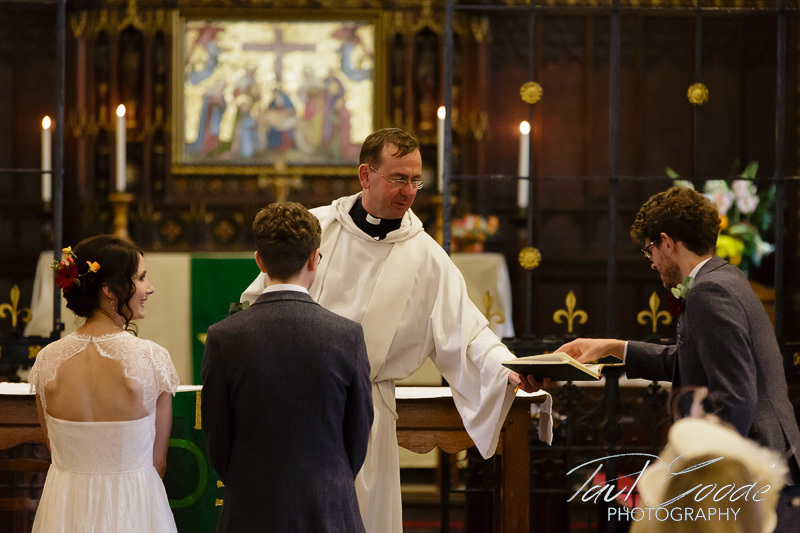 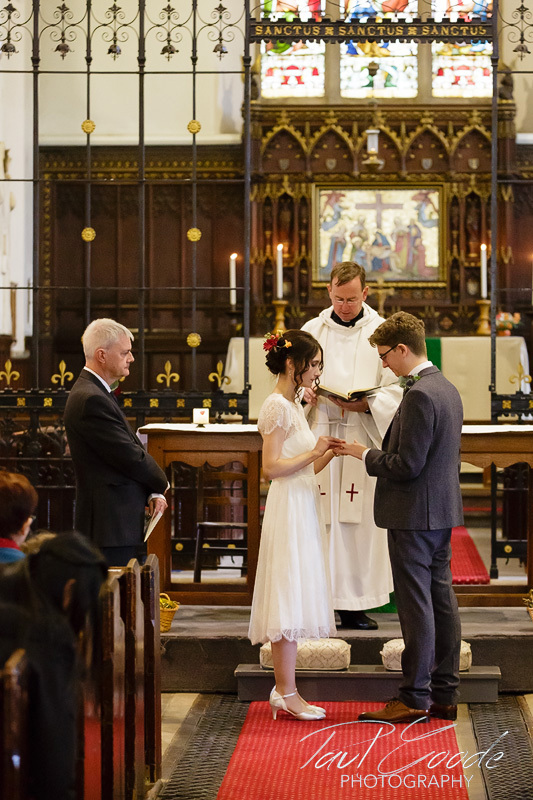 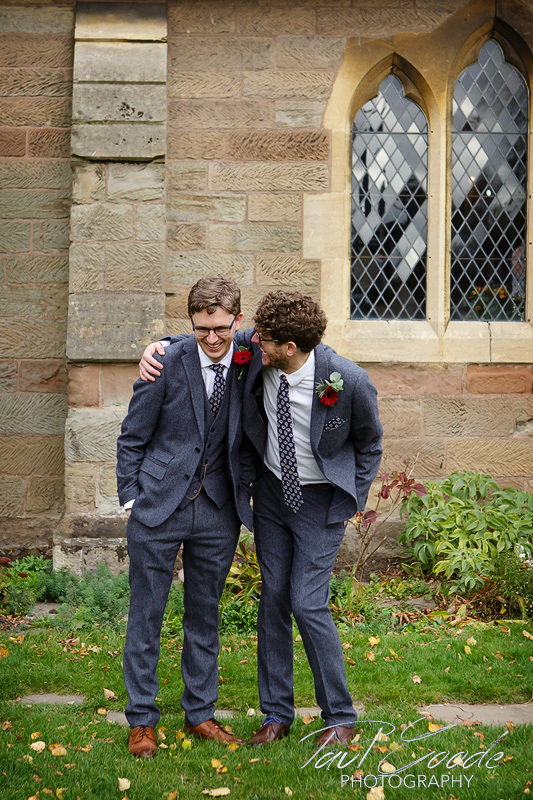 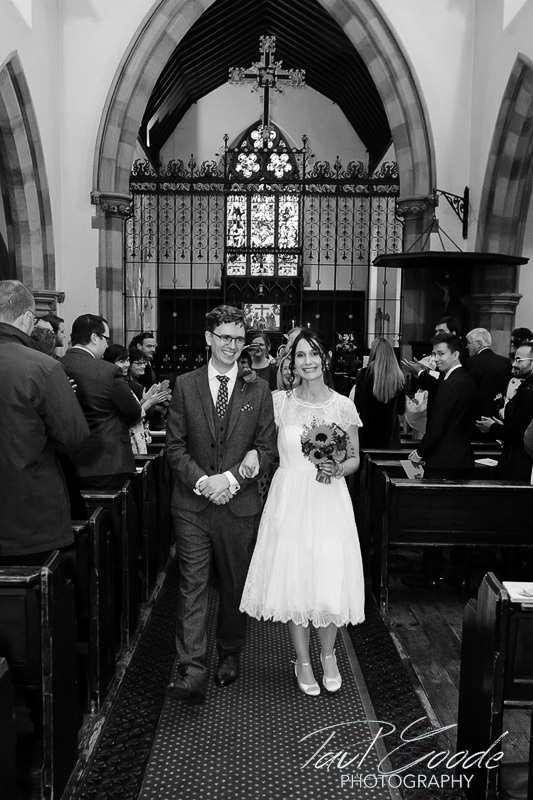 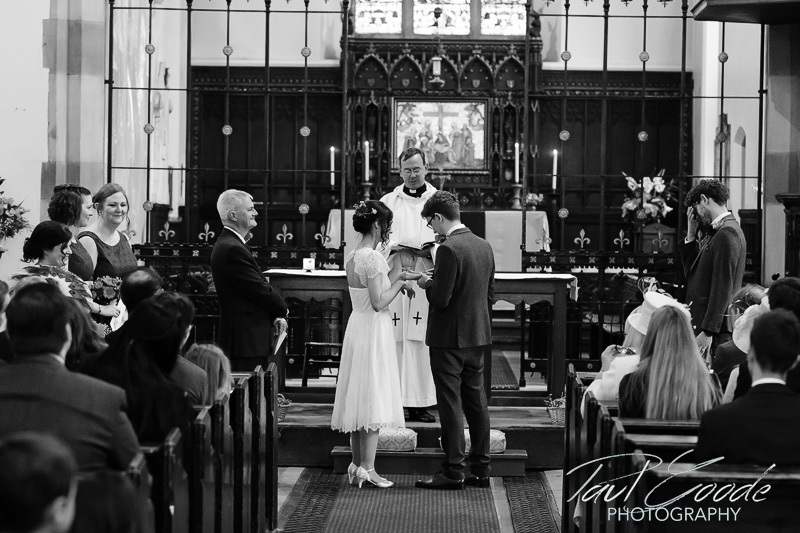 The wedding ceremony was taking place at All Saints Kings Heath Church. 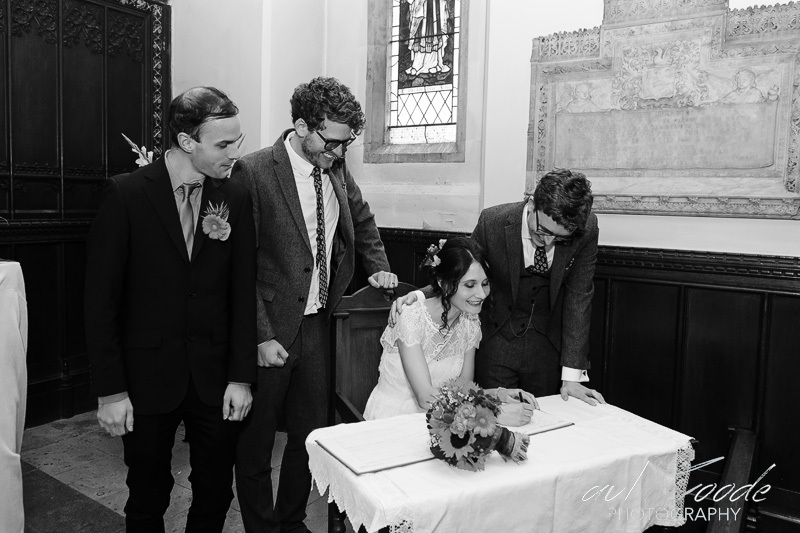 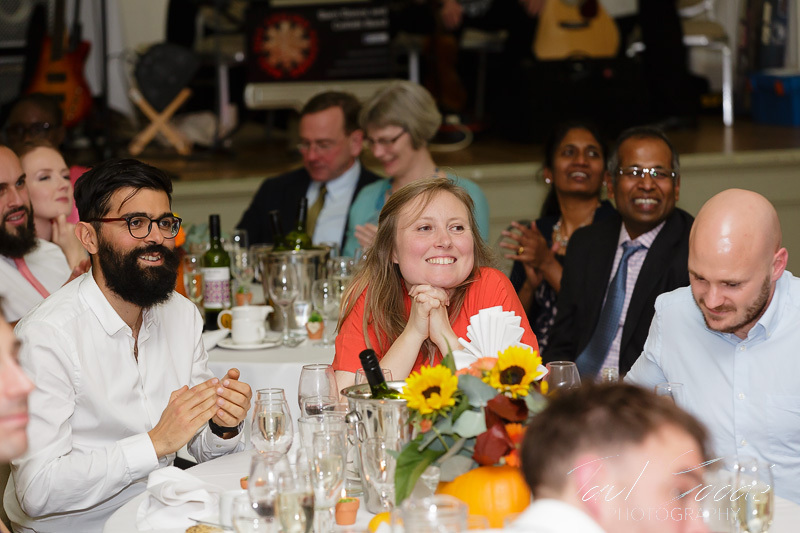 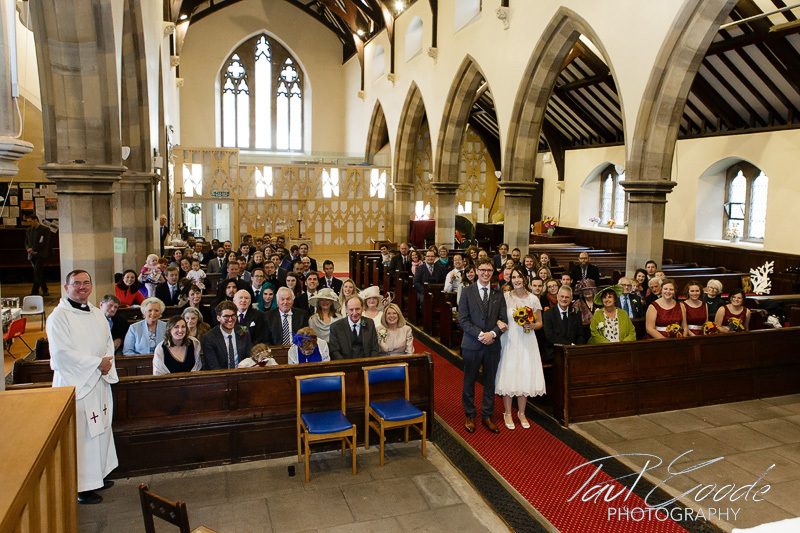 Inside the charming Grade II listed C of E Parish church, Tom and the guests had gathered in the warm, welcoming church. 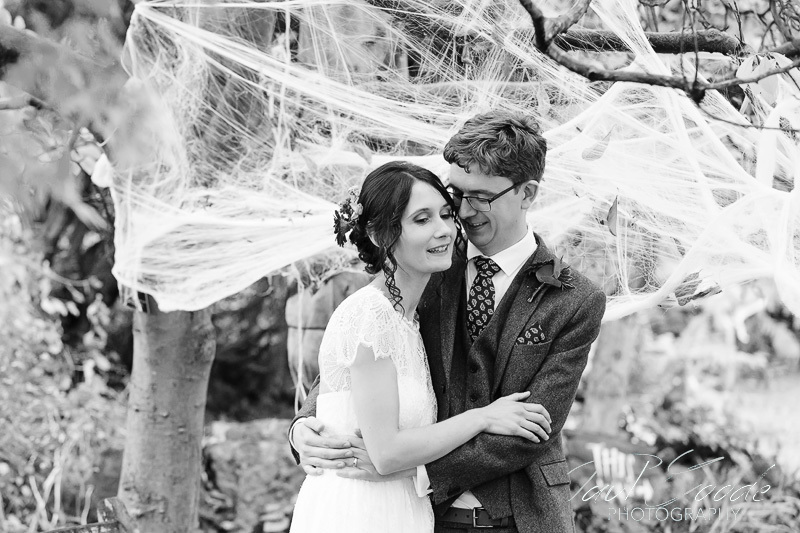 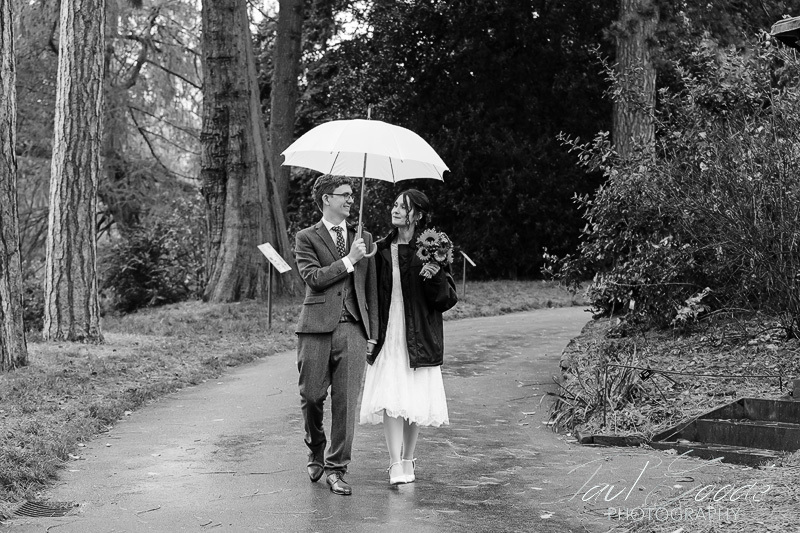 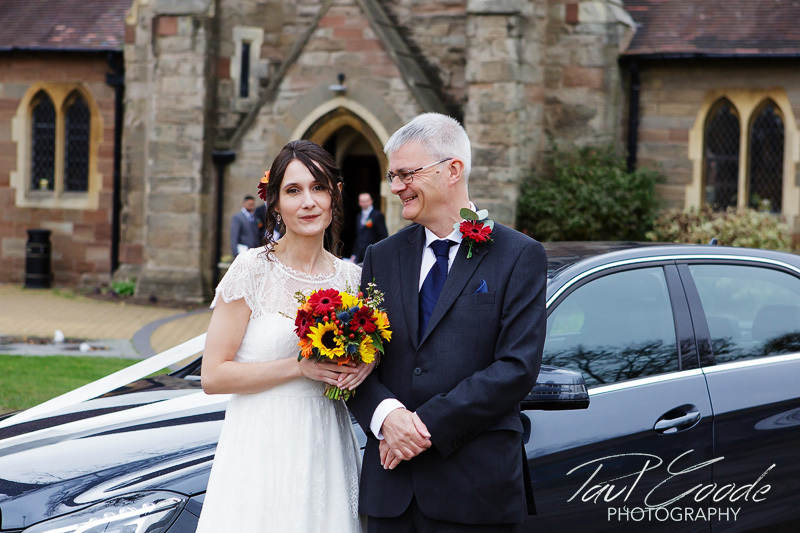 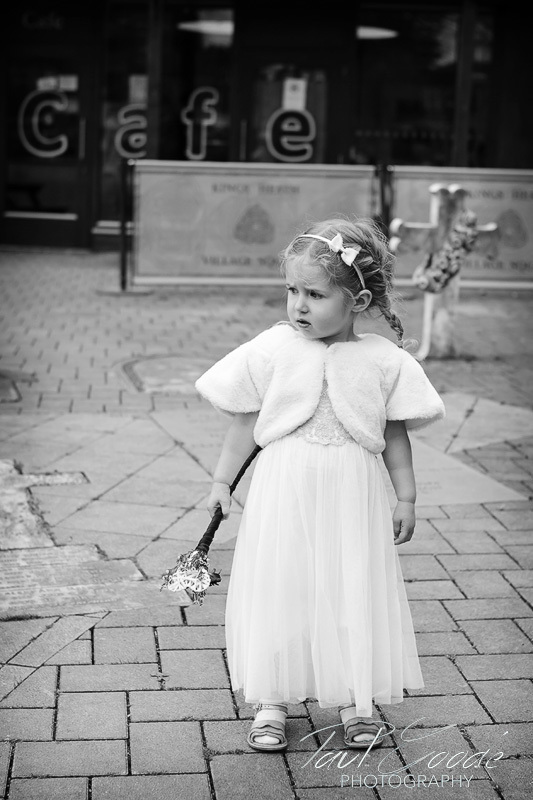 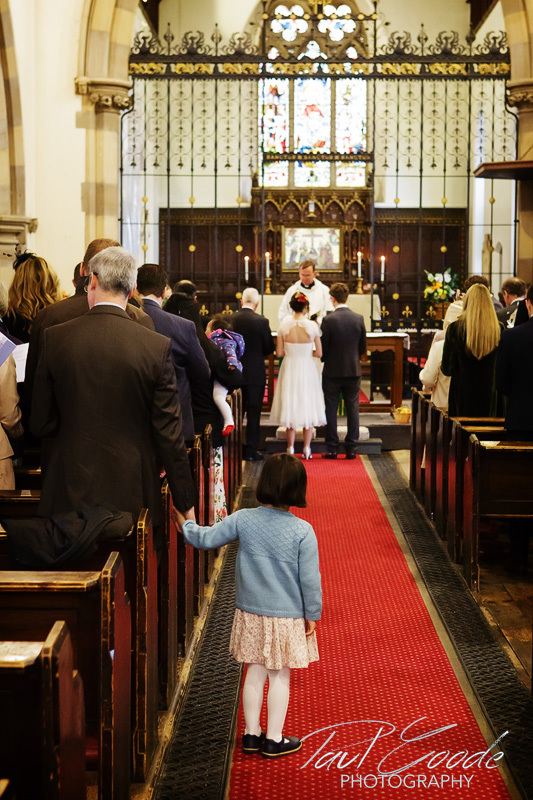 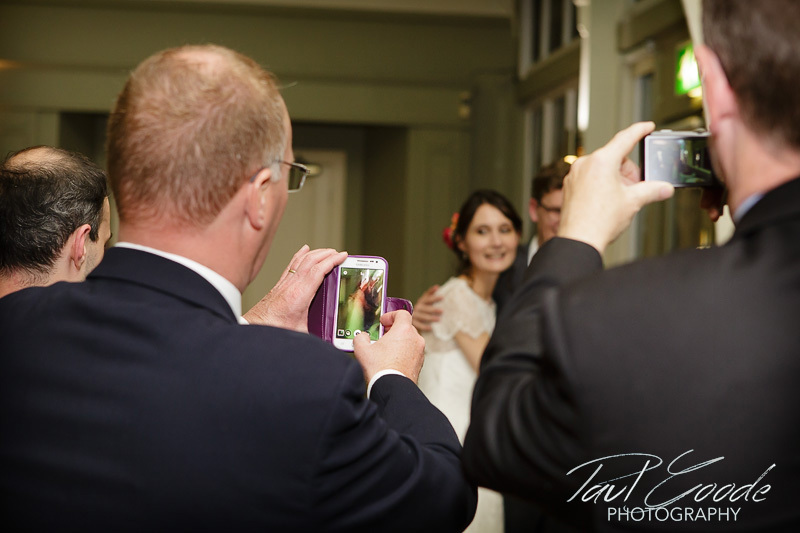 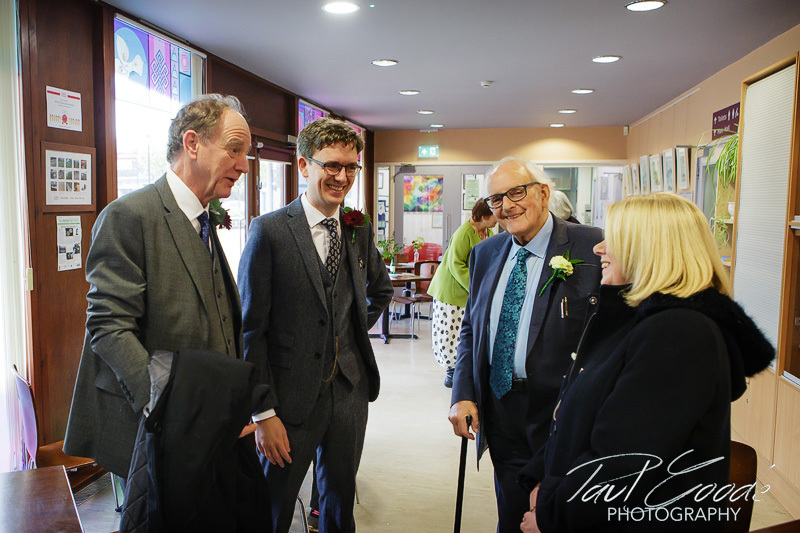 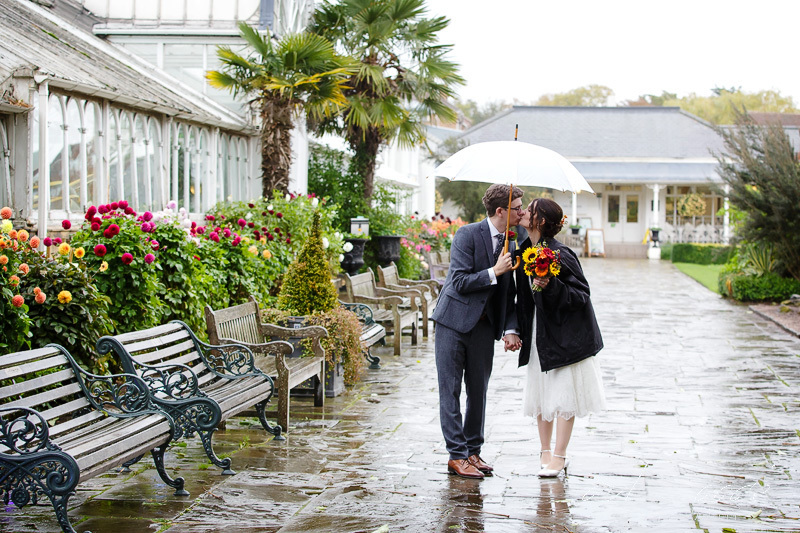 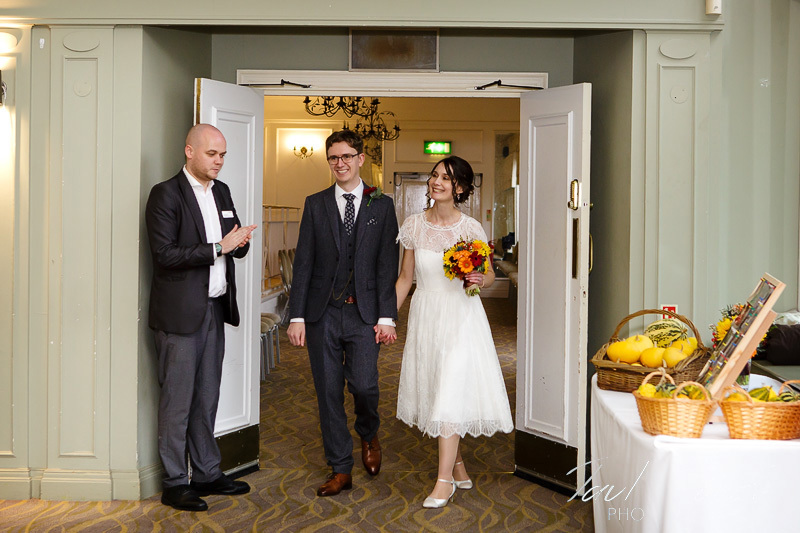 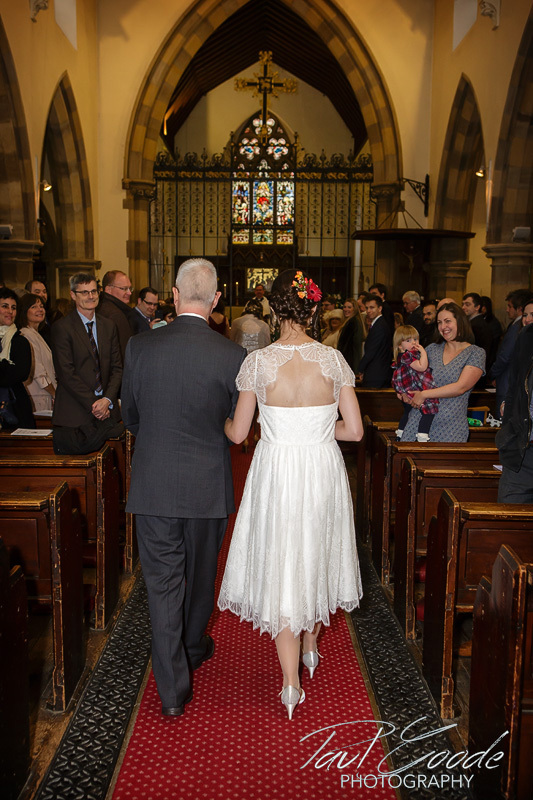 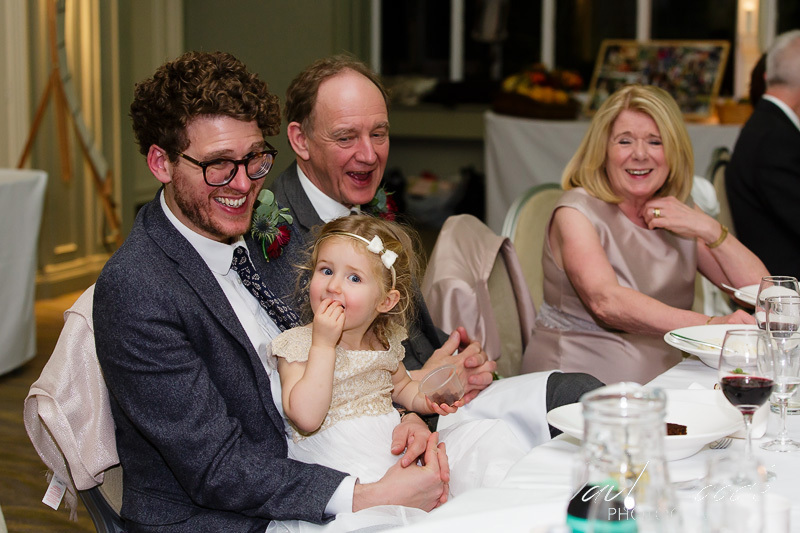 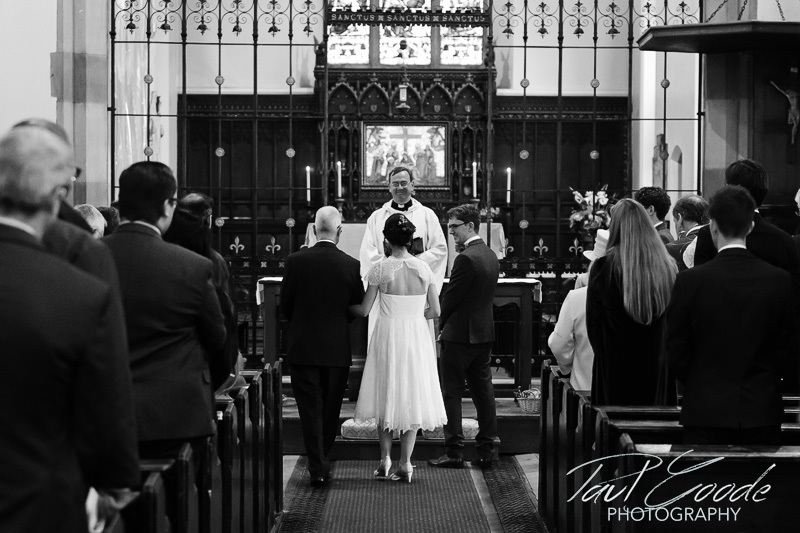 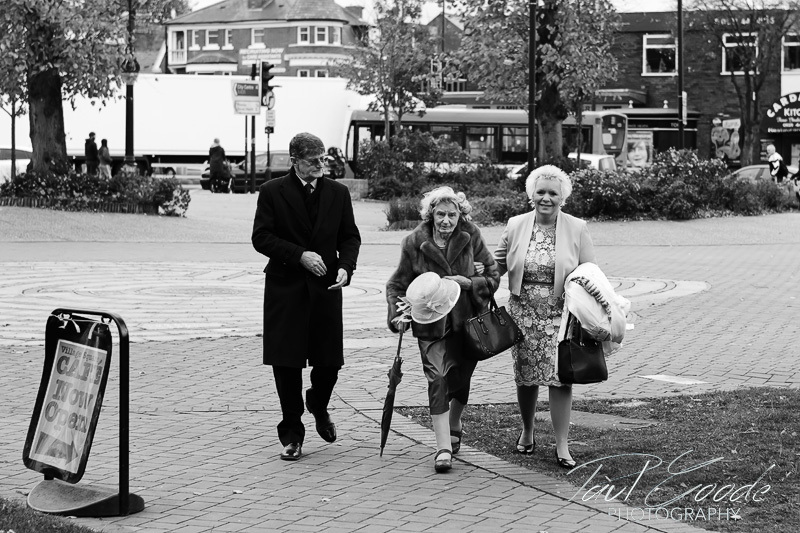 It really was a wet day so Laura and her father made a very quick arrival into the church! 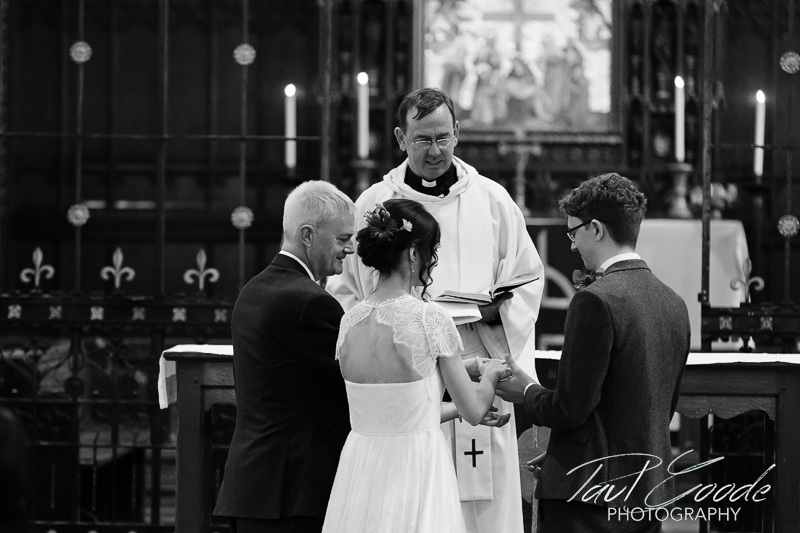 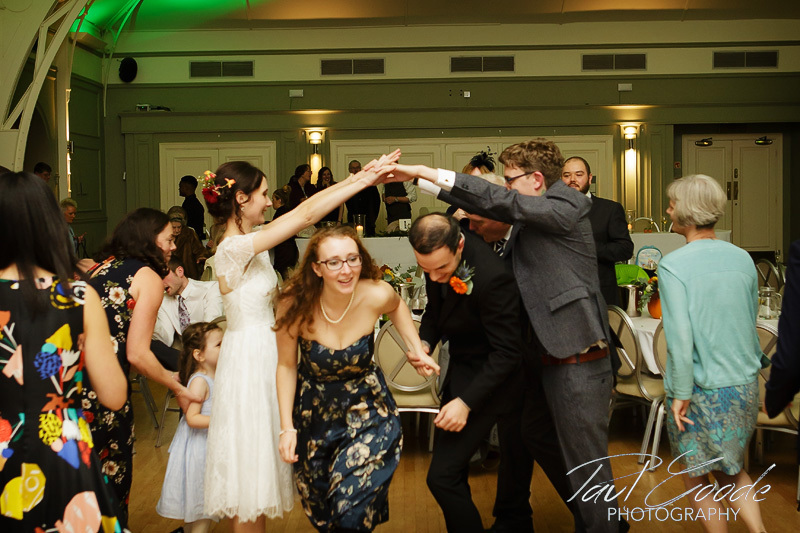 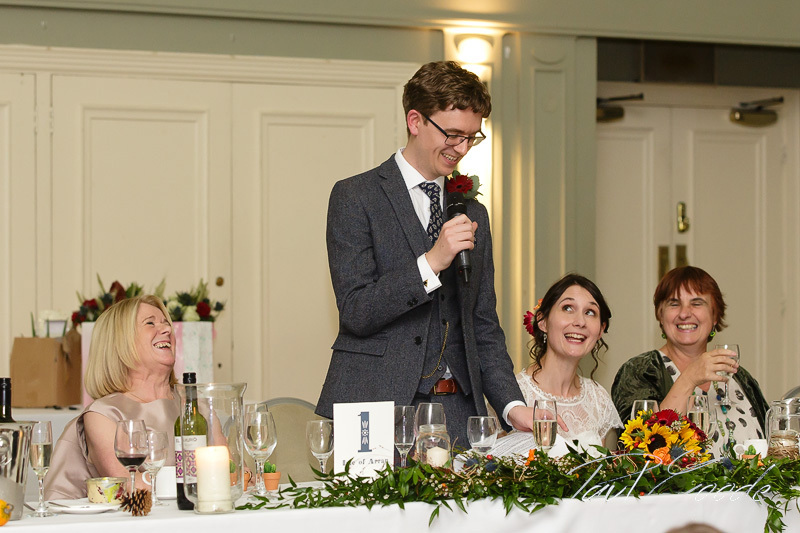 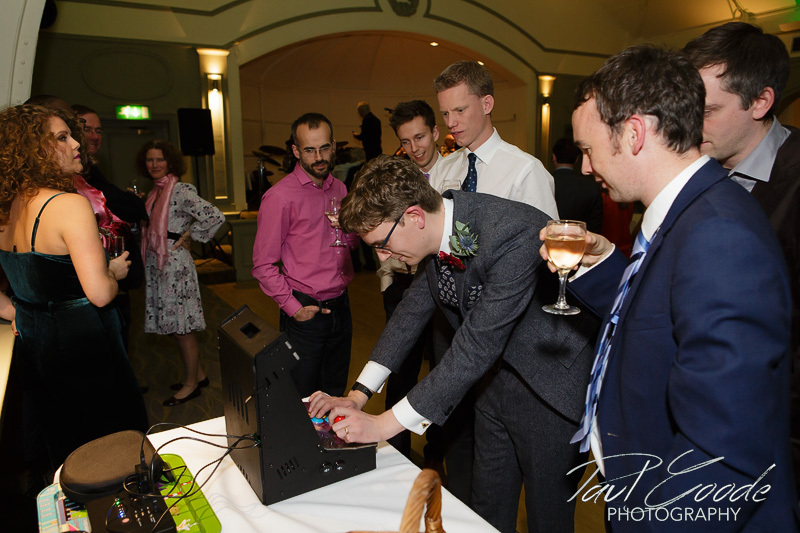 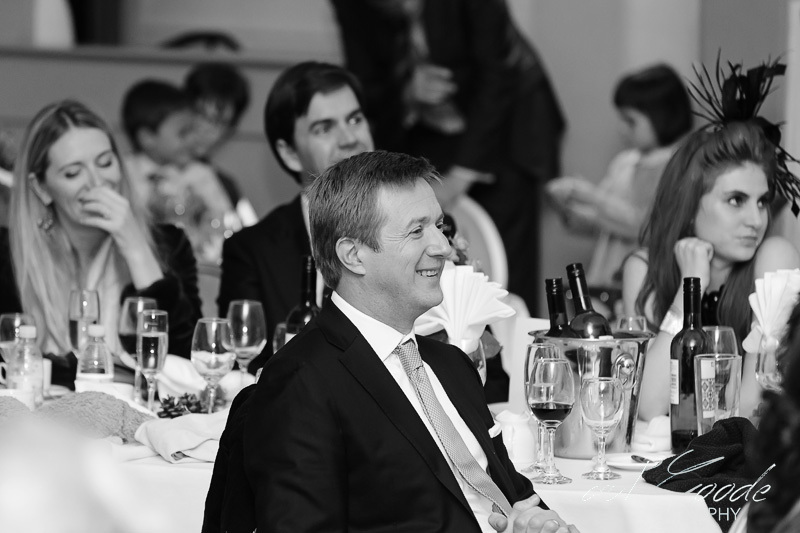 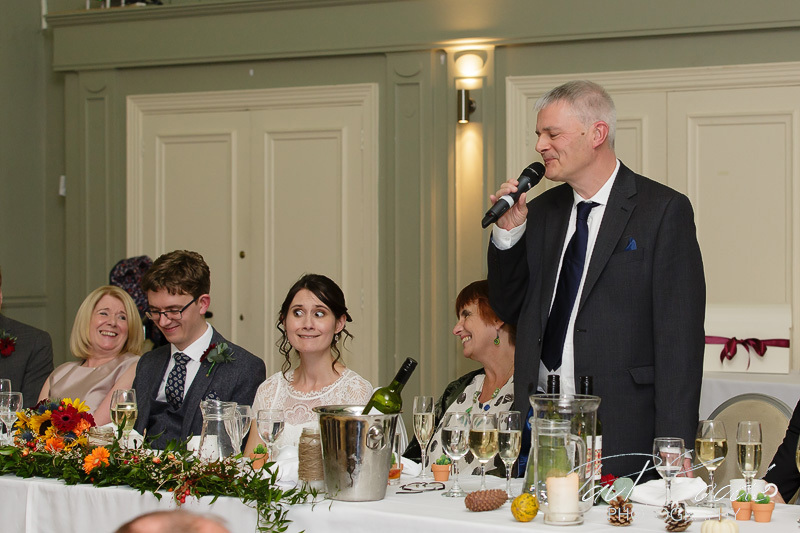 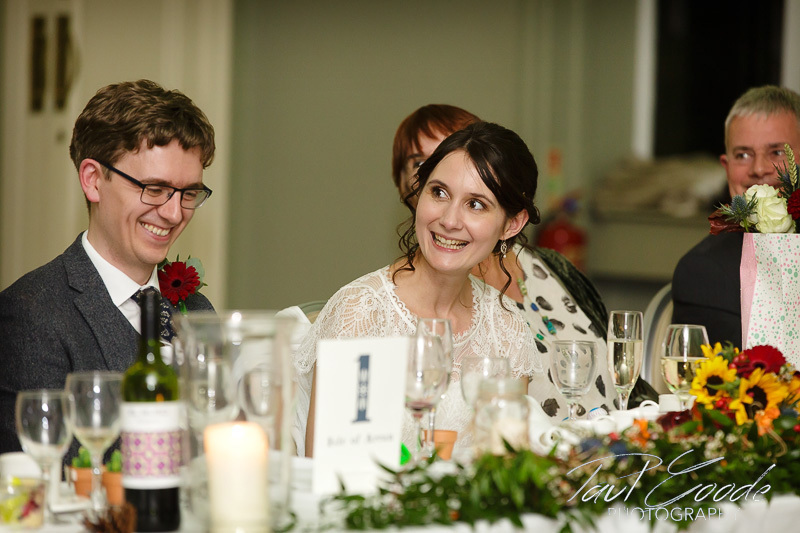 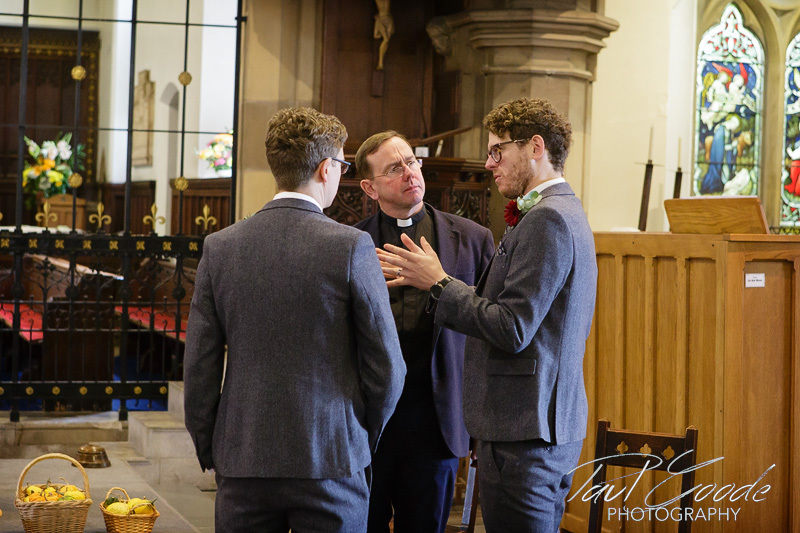 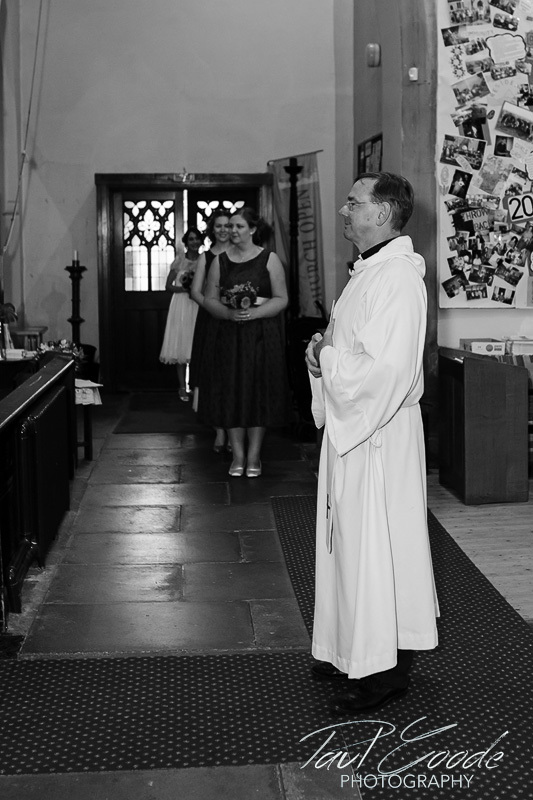 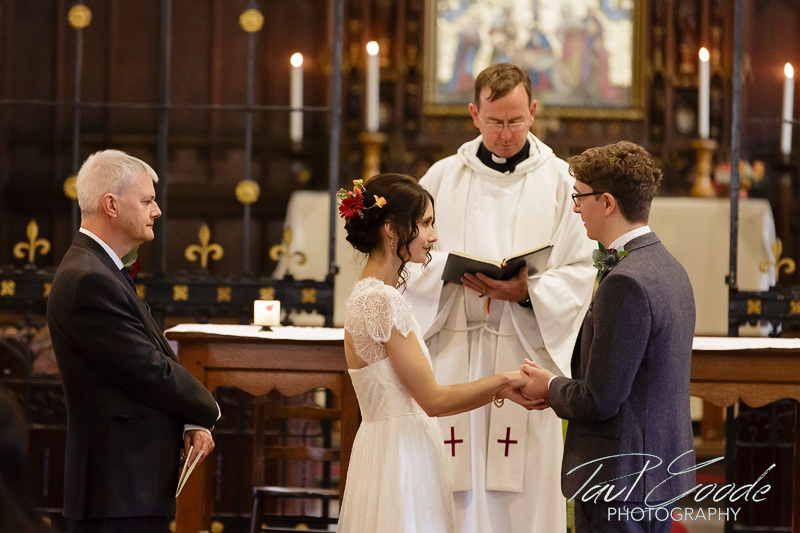 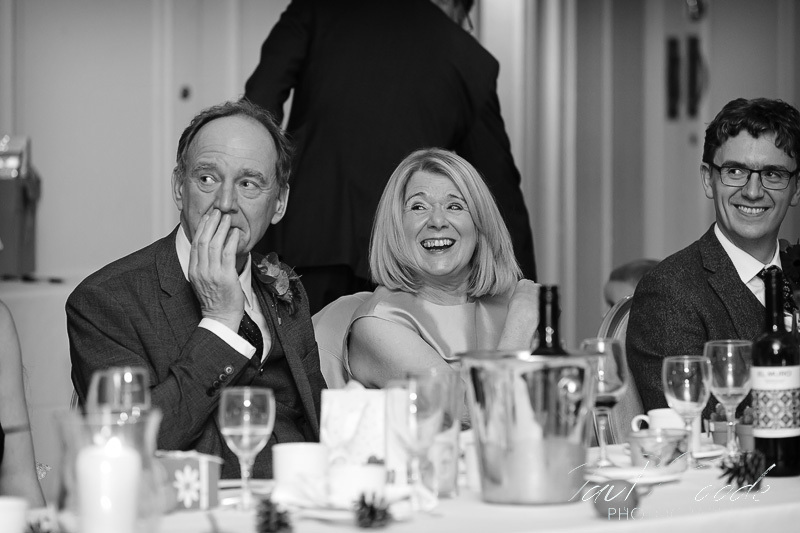 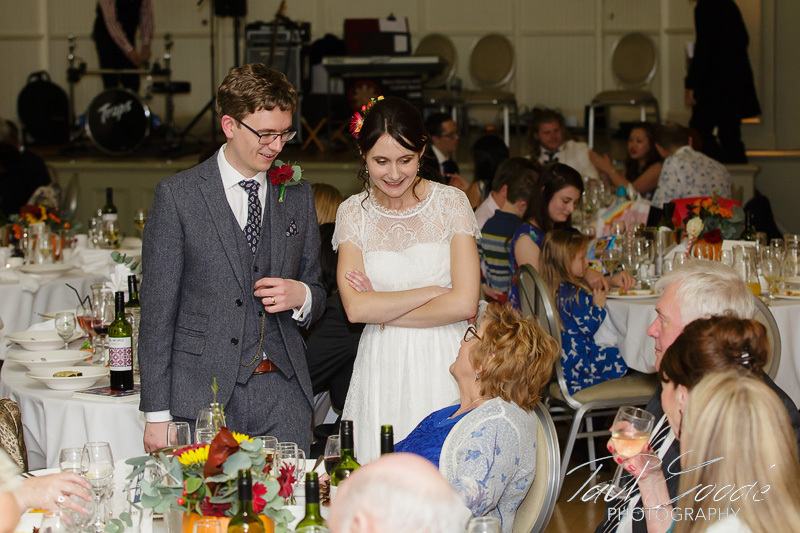 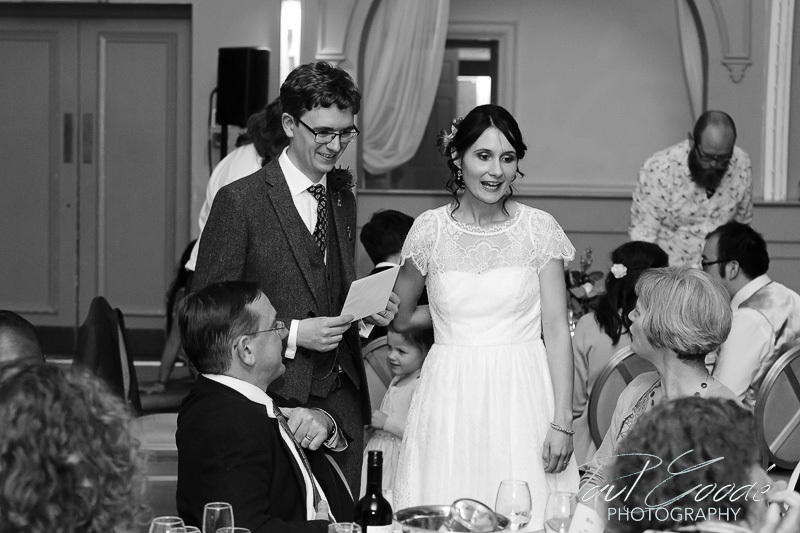 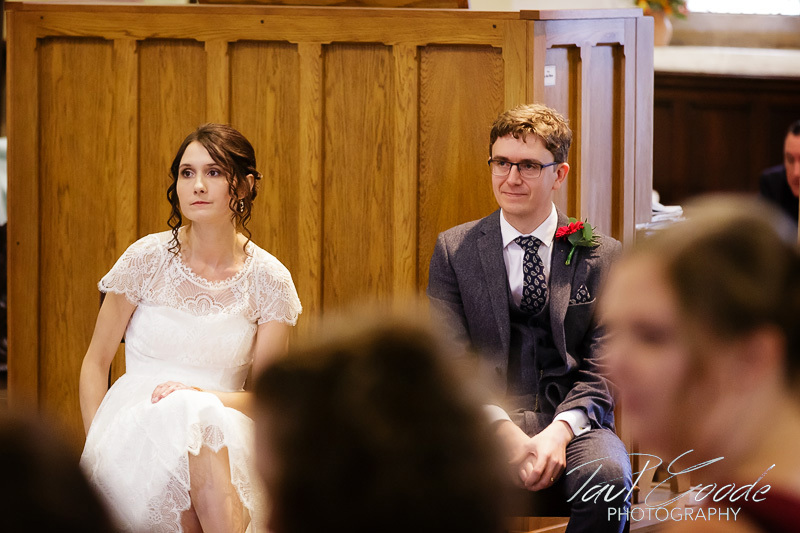 The Reverend was really friendly and conducted a very personal ceremony for Laura, Tom and their guests. 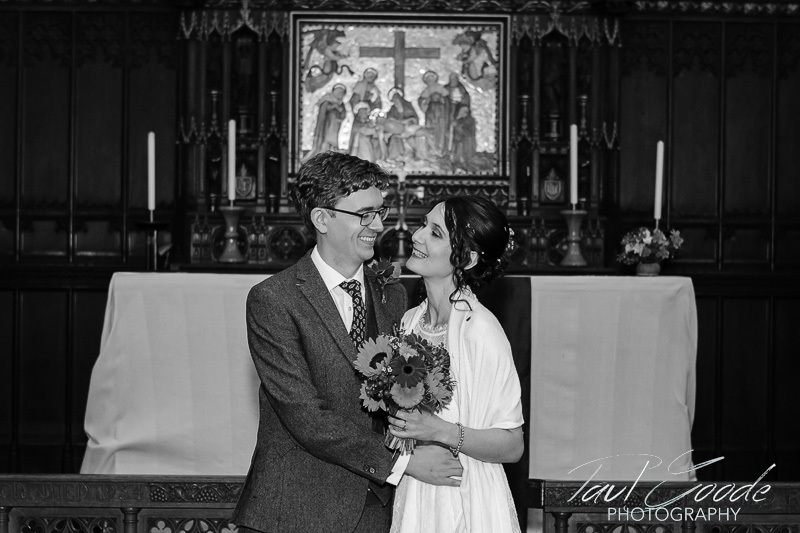 As it was still raining outside after the ceremony we took the opportunity to take some family photos inside the warmth of the church. 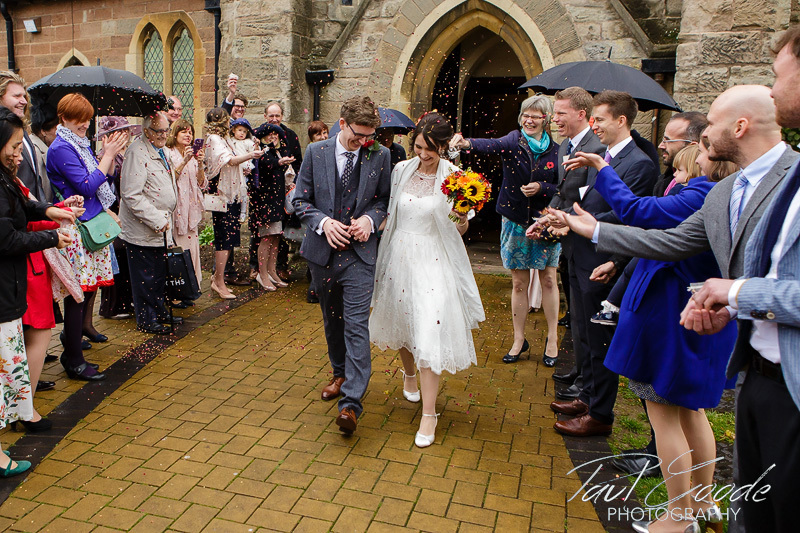 There was just a chance for a confetti shot on the church path, before we all made our way over to the Botanical Gardens. 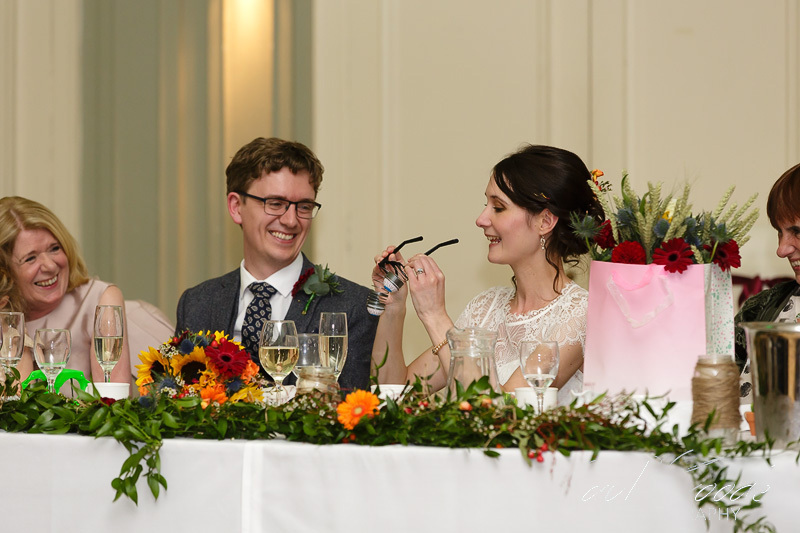 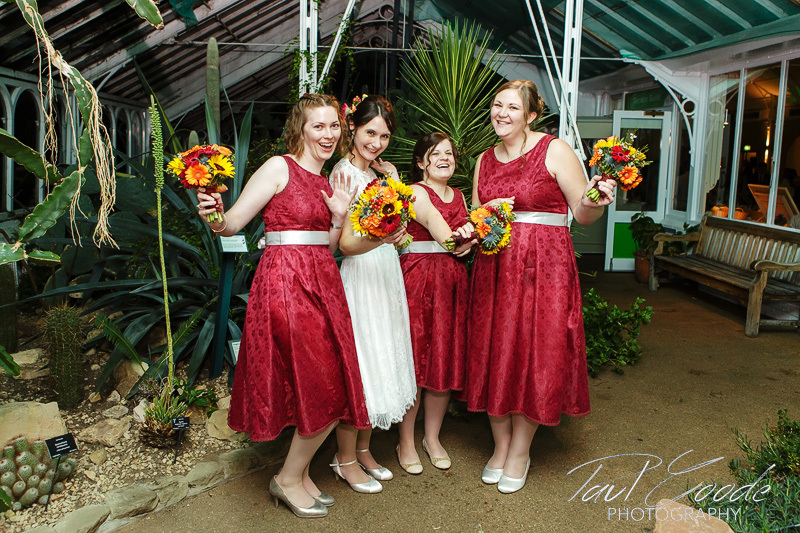 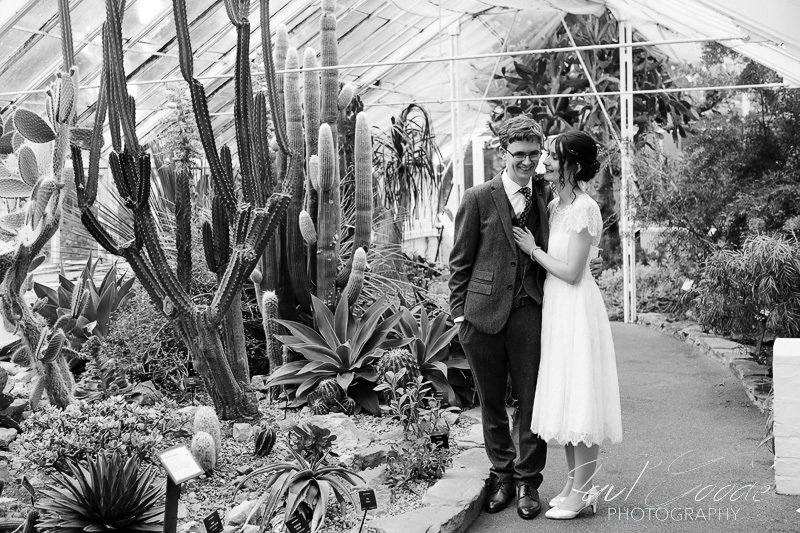 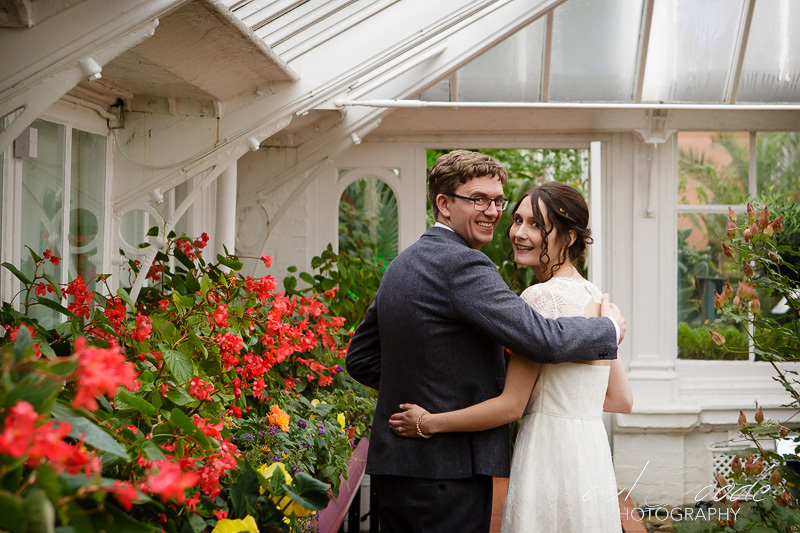 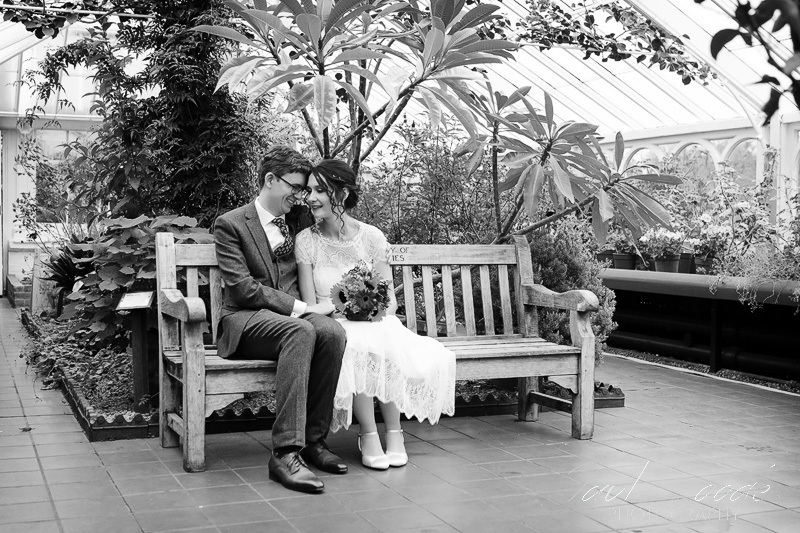 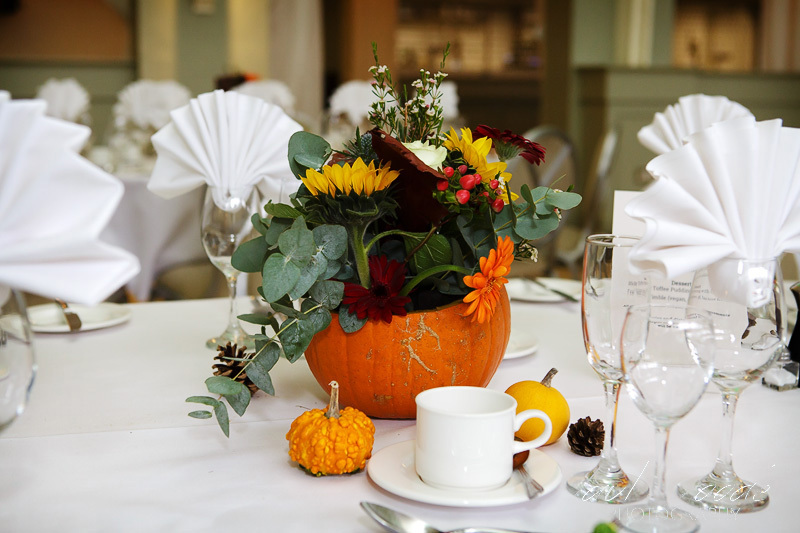 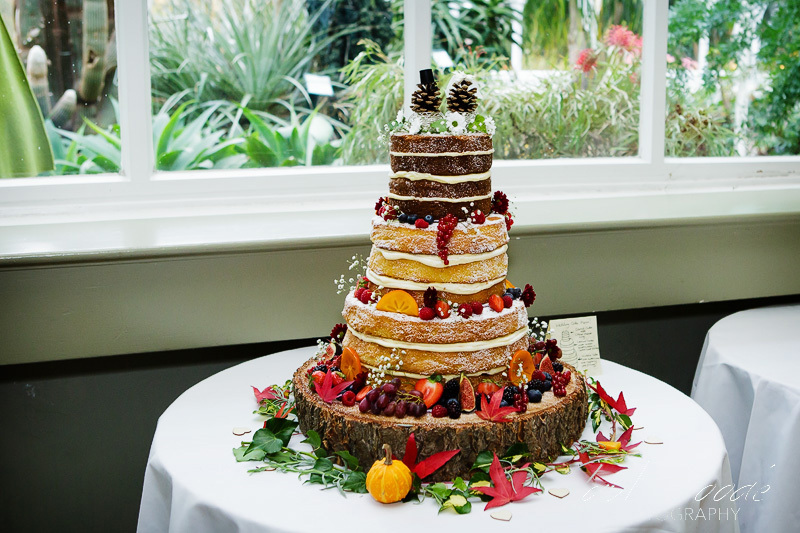 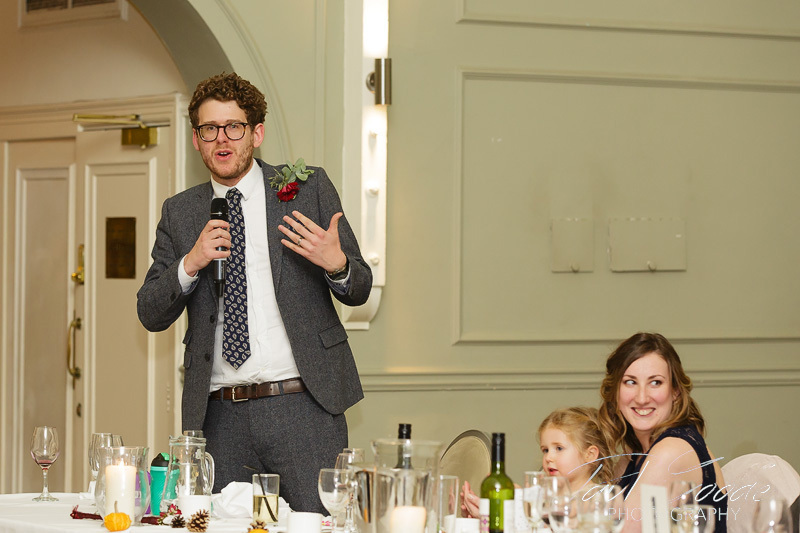 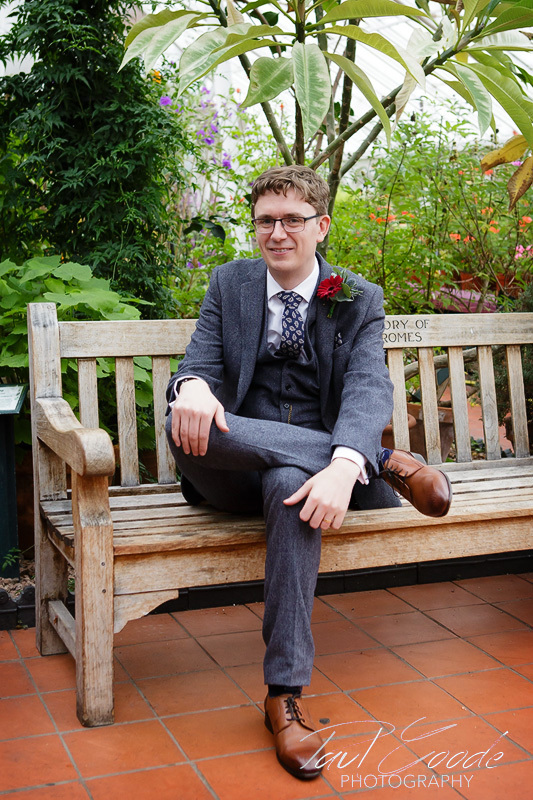 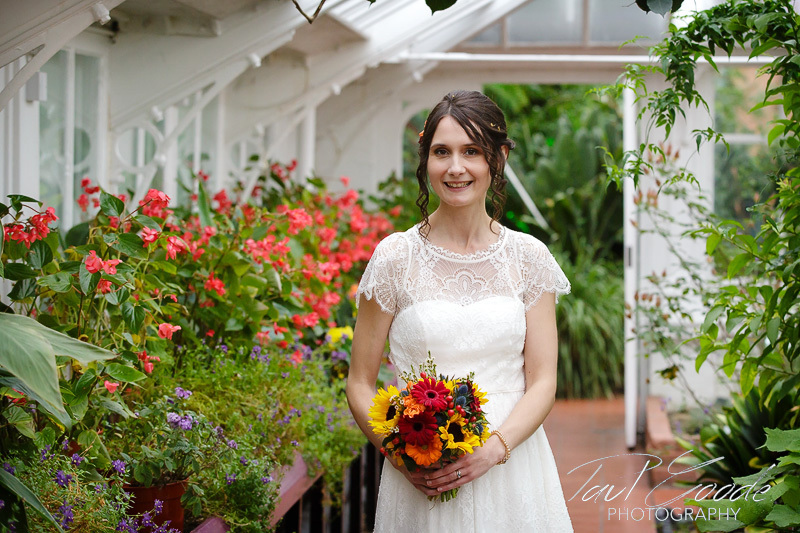 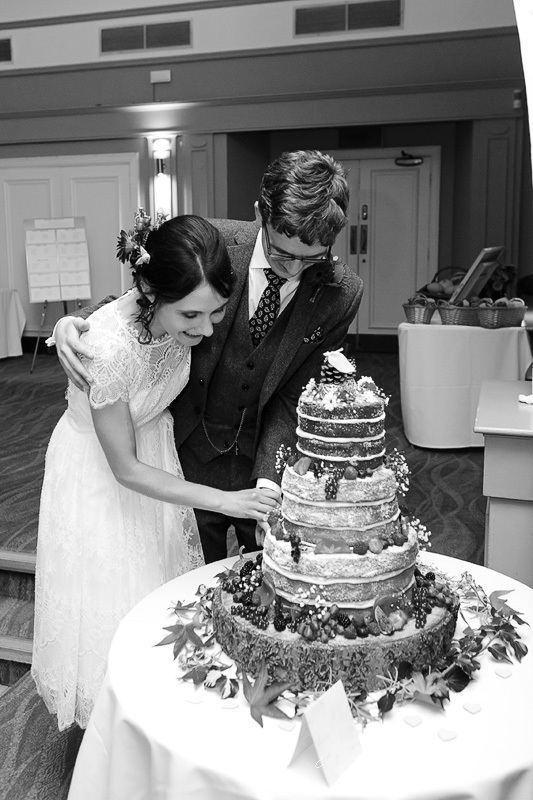 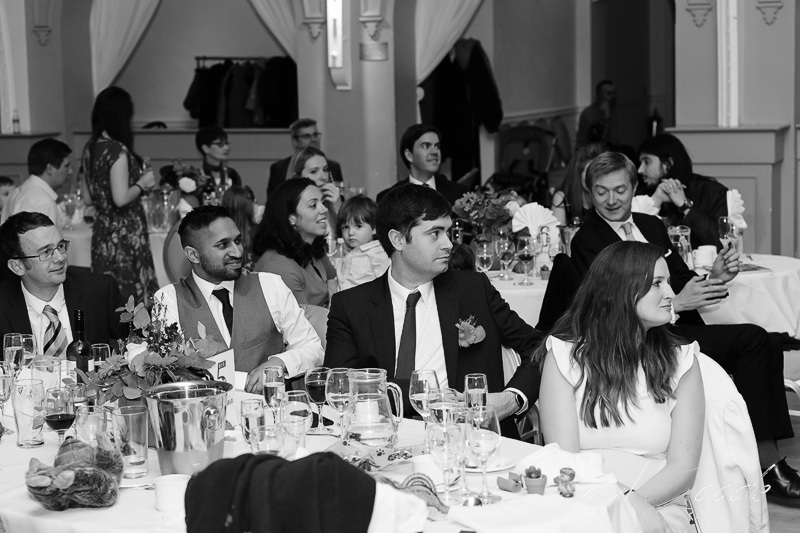 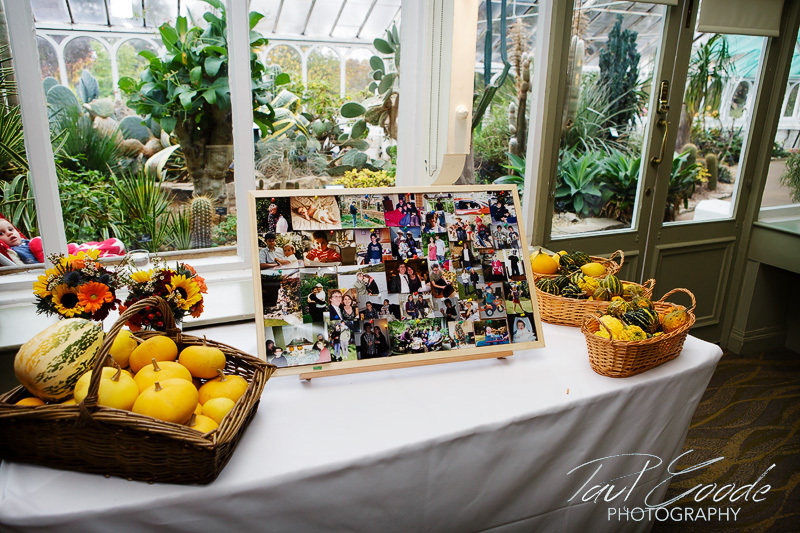 Beyond the Arid House, home to the gardens Cacti collection, lies the Terrace Suite where Laura and Tom held their wedding breakfast and speeches. 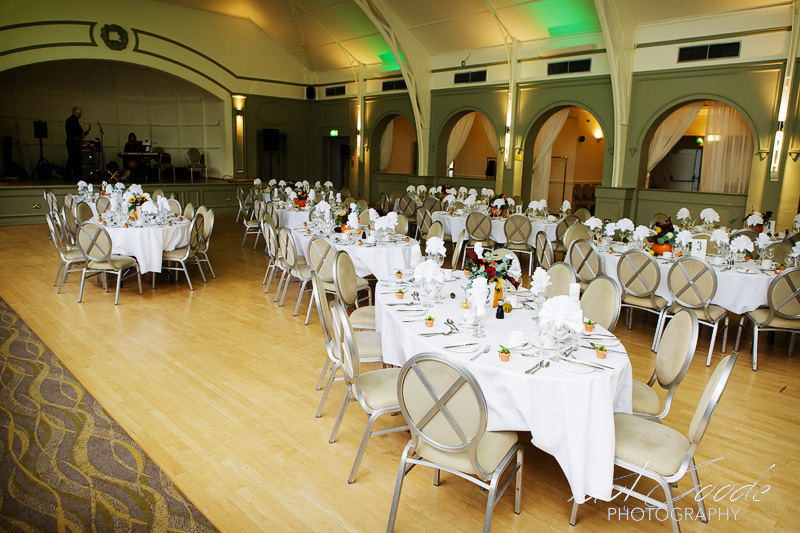 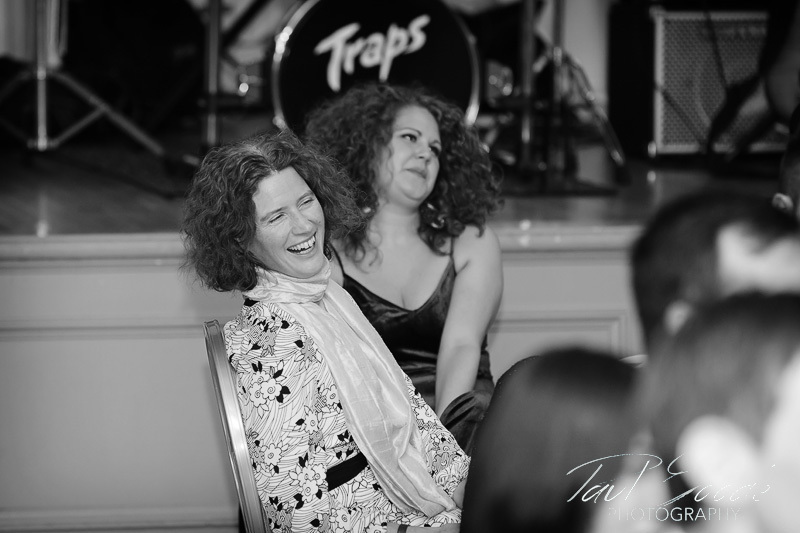 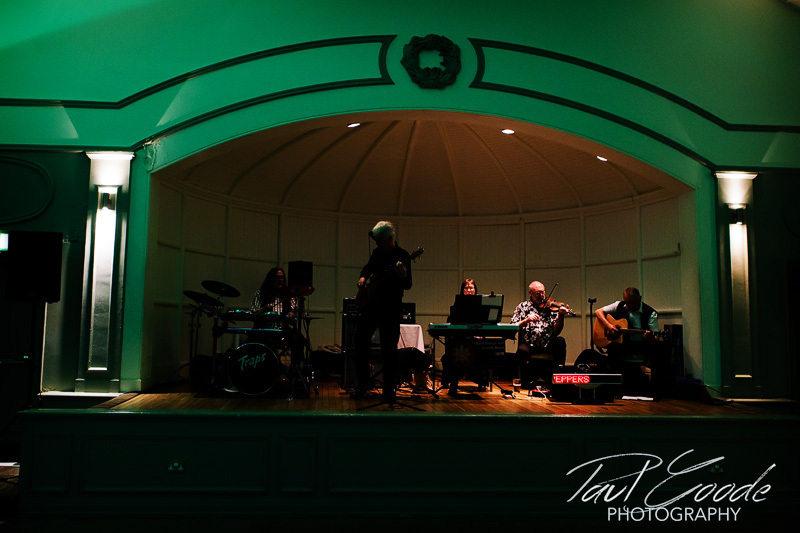 The Terrace Suite was once the ballroom for the gardens and made an excellent setting later in the evening for dancing the night away. 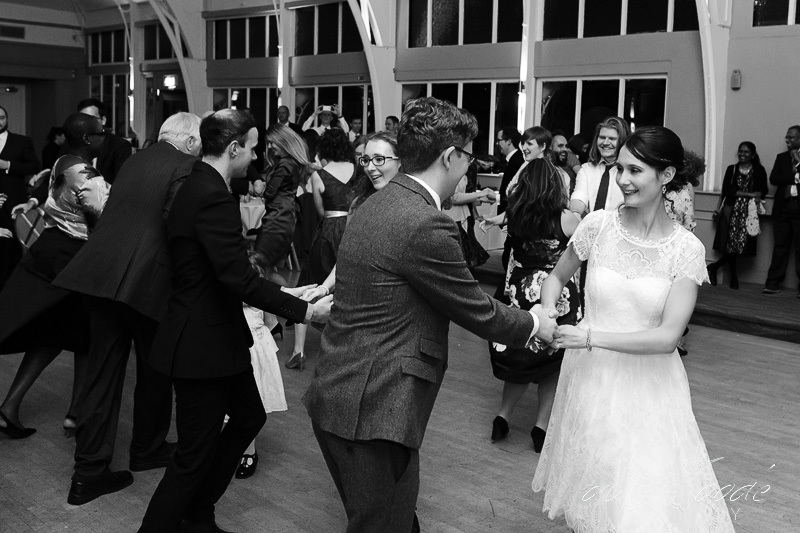 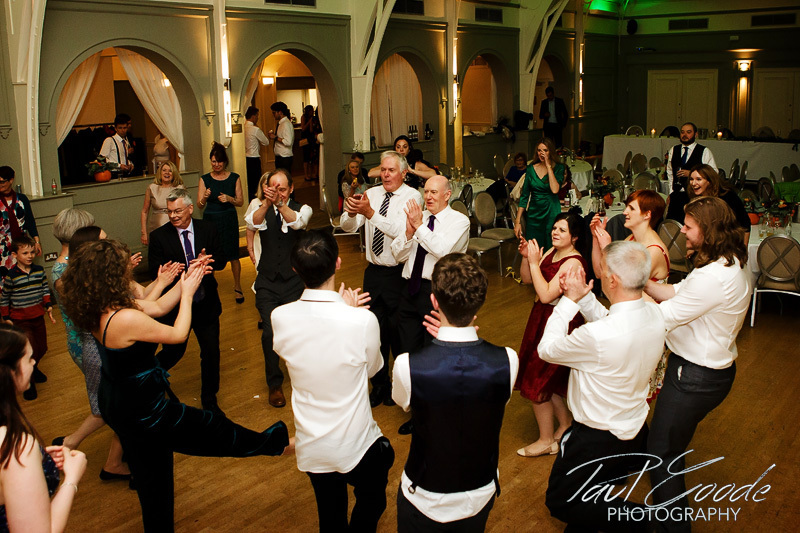 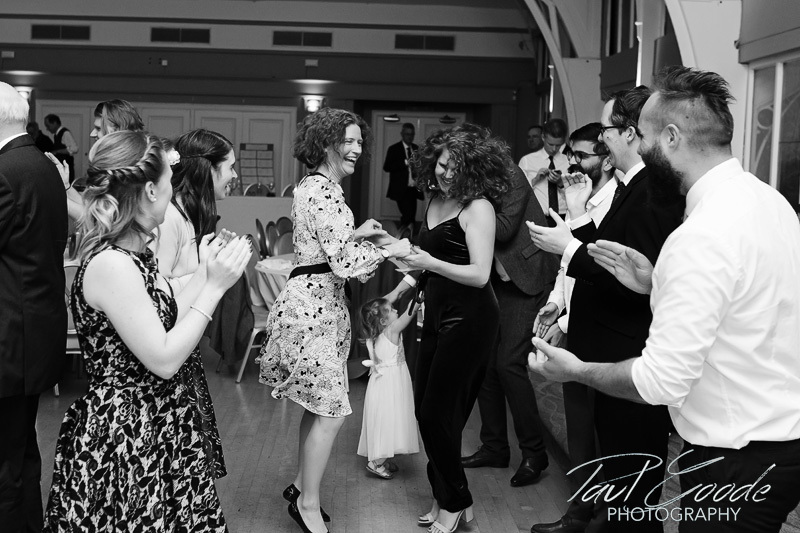 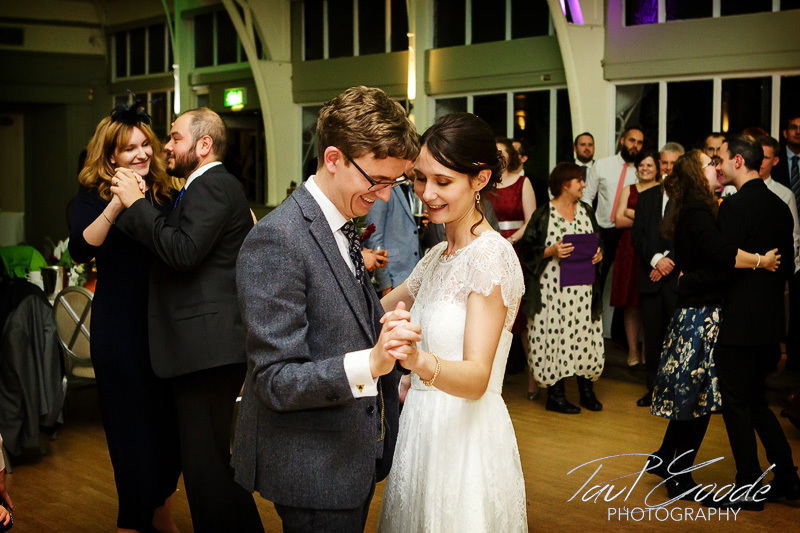 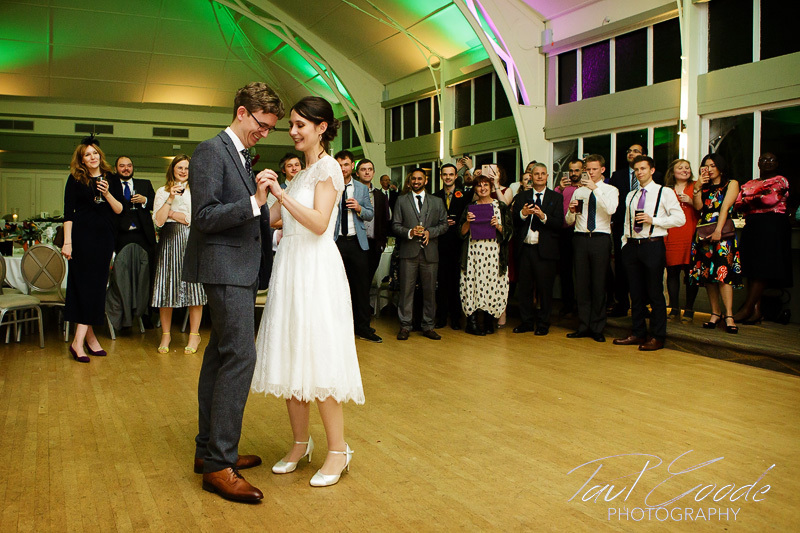 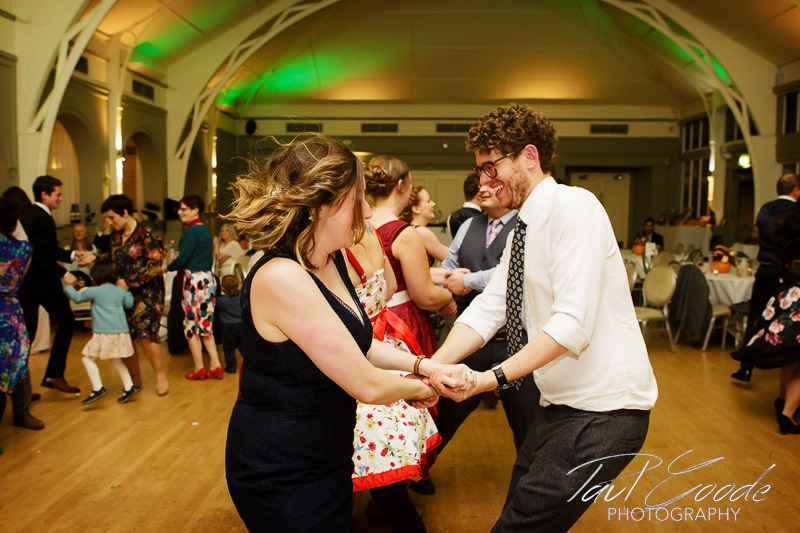 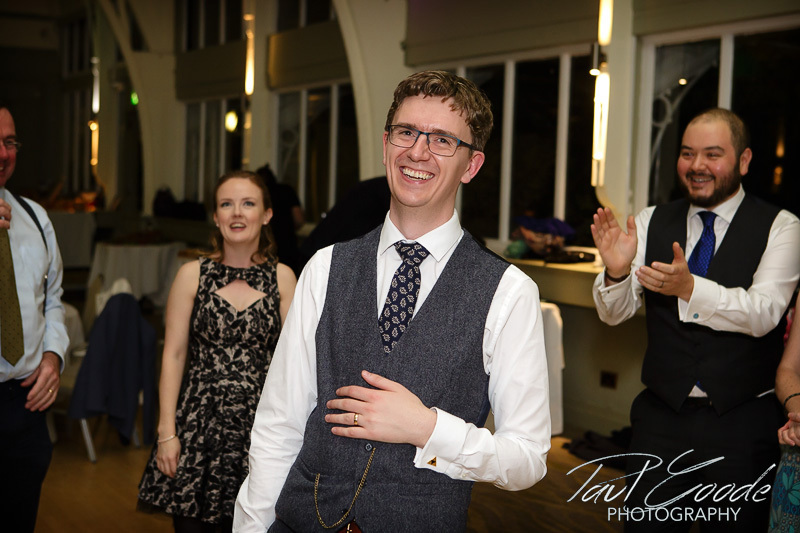 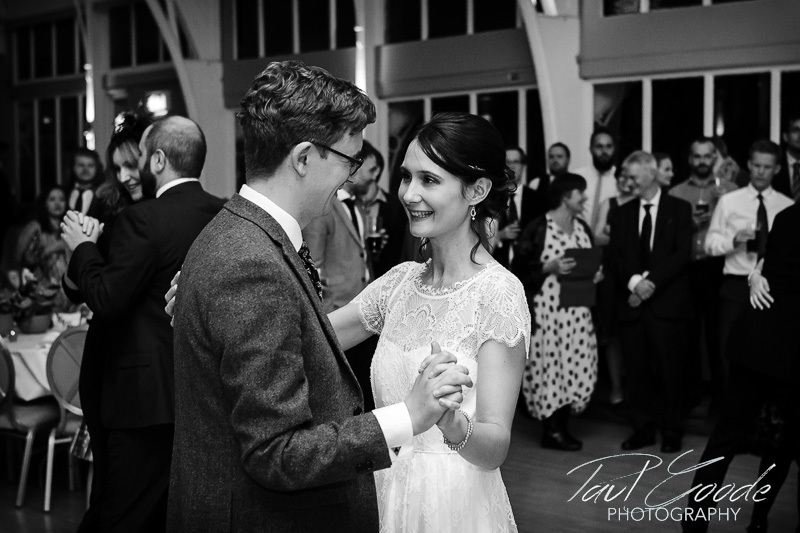 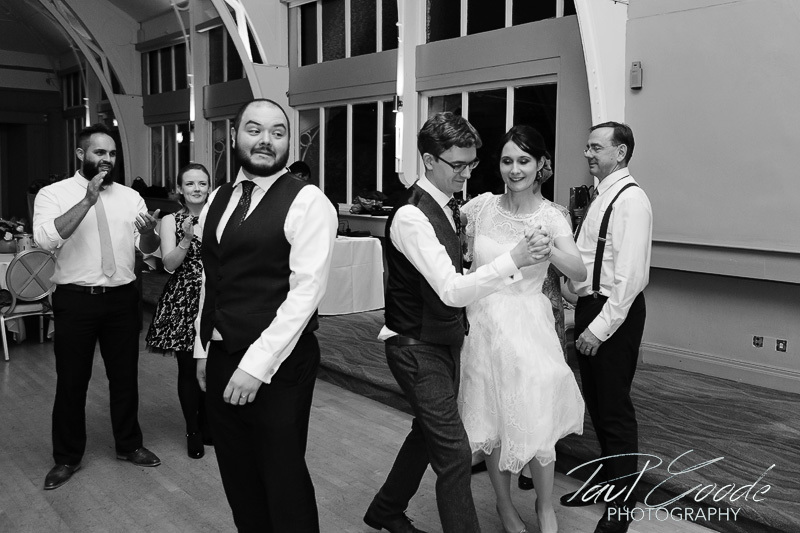 Laura and Tom started off the evening with their first dance which went straight into a Ceilidh with great fun had by all!